Hey everyone! 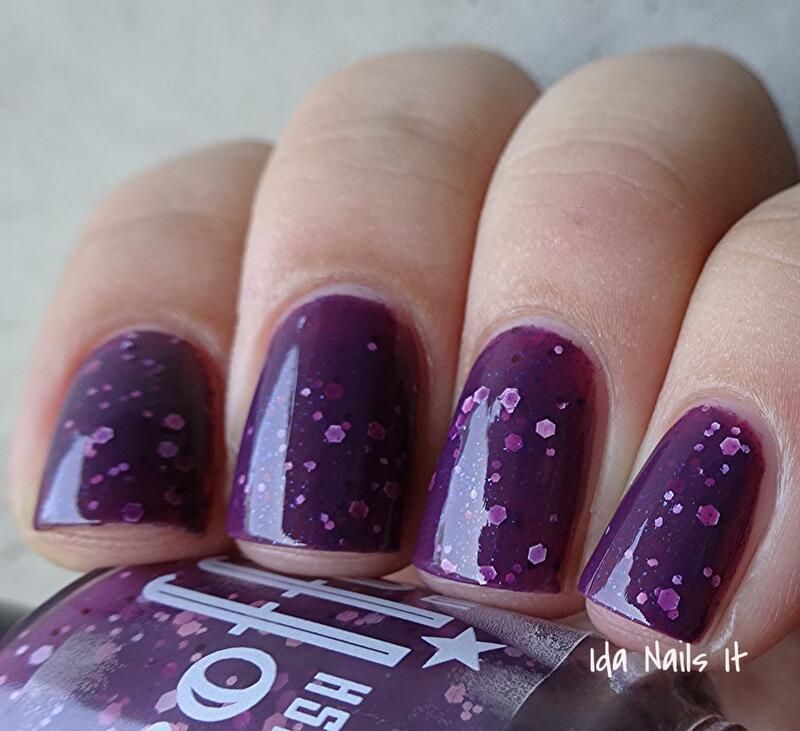 I have a couple of older My Ten Friends polishes to share today. I got this from a friend months ago and finally got the chance to wear them. I don't believe Chrononaut is available any longer but Dirtball may be restocked at some point, in the newer round bottle though. 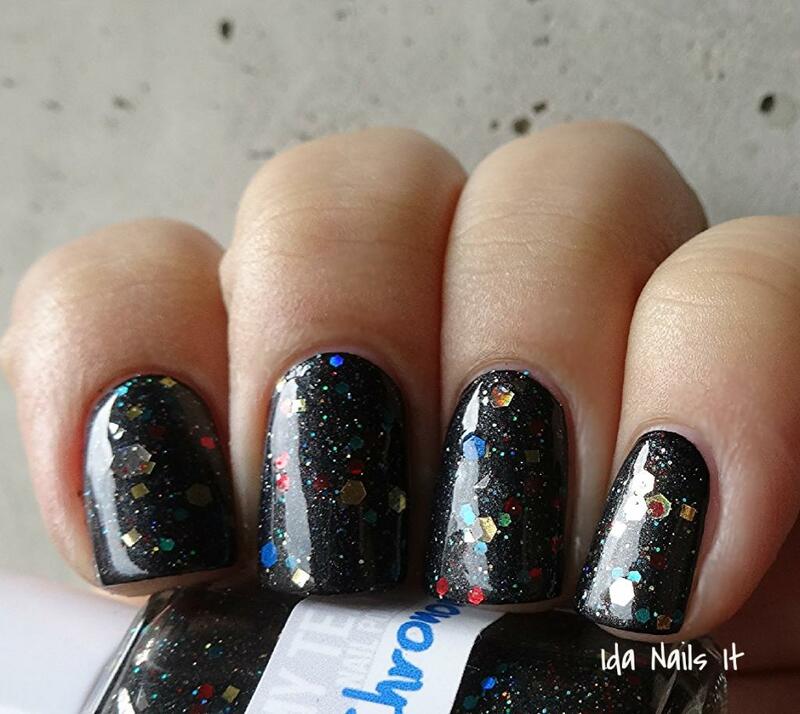 Black jelly base with gold, silver, red, teal, and blue glitter and gold shimmer. Awesome representation of a time traveler, to me anyway. It's not about a certain doctor but more about the dark unknown and all that could be traveled. 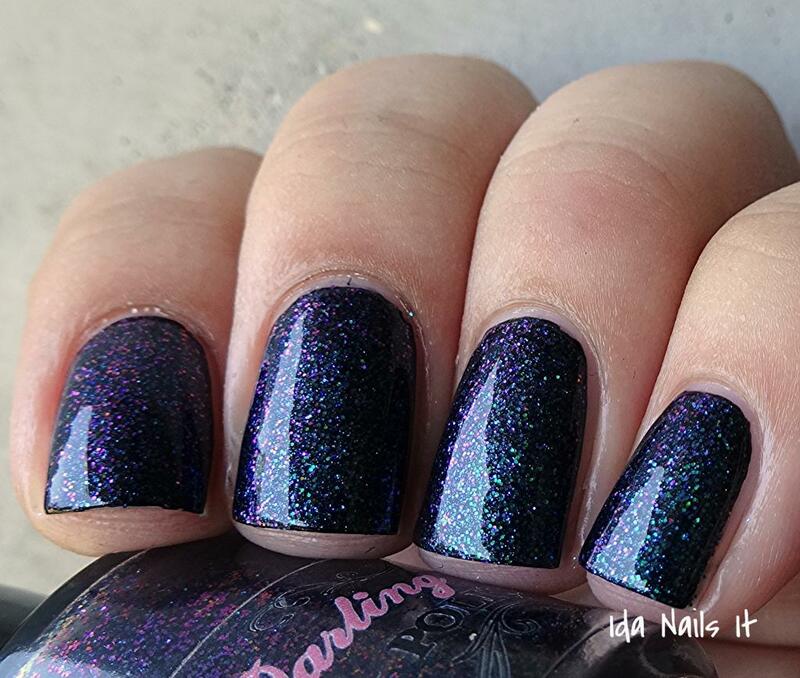 The black jelly base is not totally opaque, so I decided to layer over black and allow the colored glitter to pop a bit more. 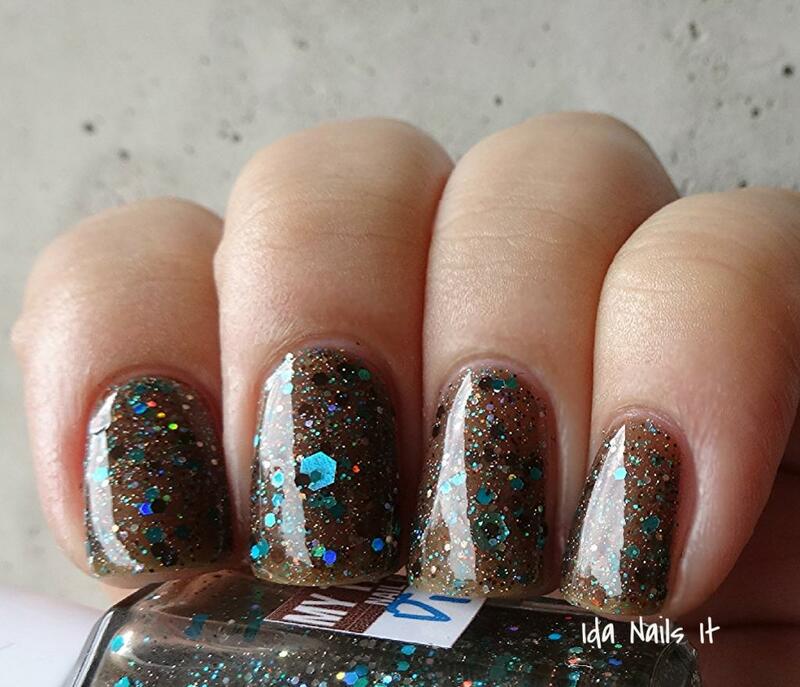 Brown jelly base with brown and turquoise glitter and holo silver micro glitter shimmer. Turquoise and brown pair so well, I don't know if I would have thought to put them together and as you can see, they really compliment each other. As with Chrononaut, the brown jelly base is somewhat on the sheer side but instead of layering, this time I wore it by itself. 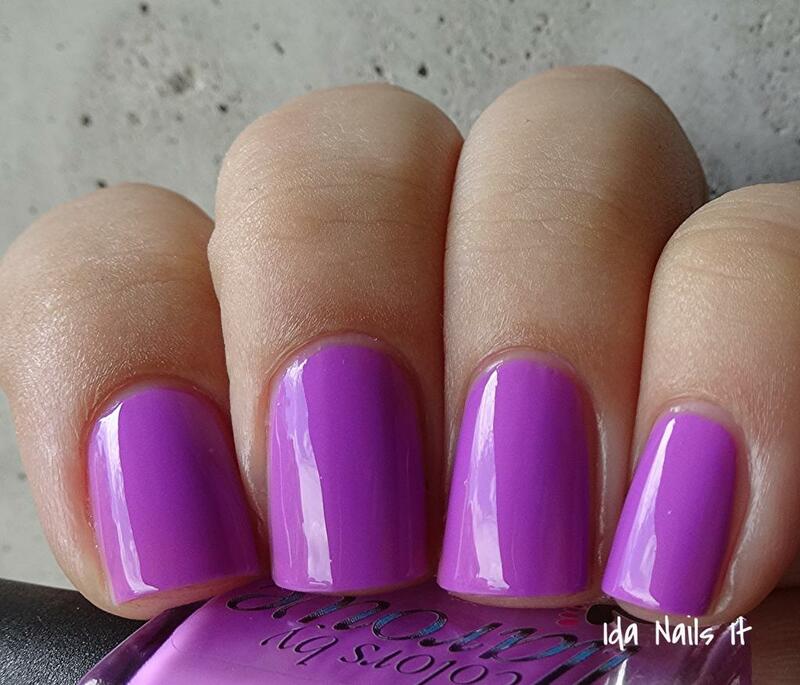 I prefer the squishy look when doing that with a jelly polish. 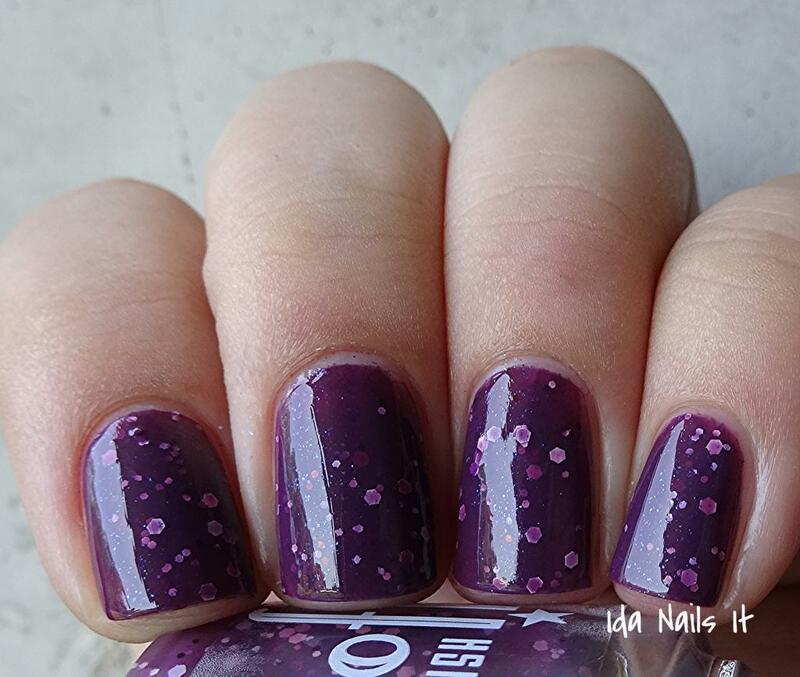 You can purchase My Ten Friends' polishes in her shop and updates can be found on her Facebook page as well as subscribing via newsletter linked on her site. Good afternoon! 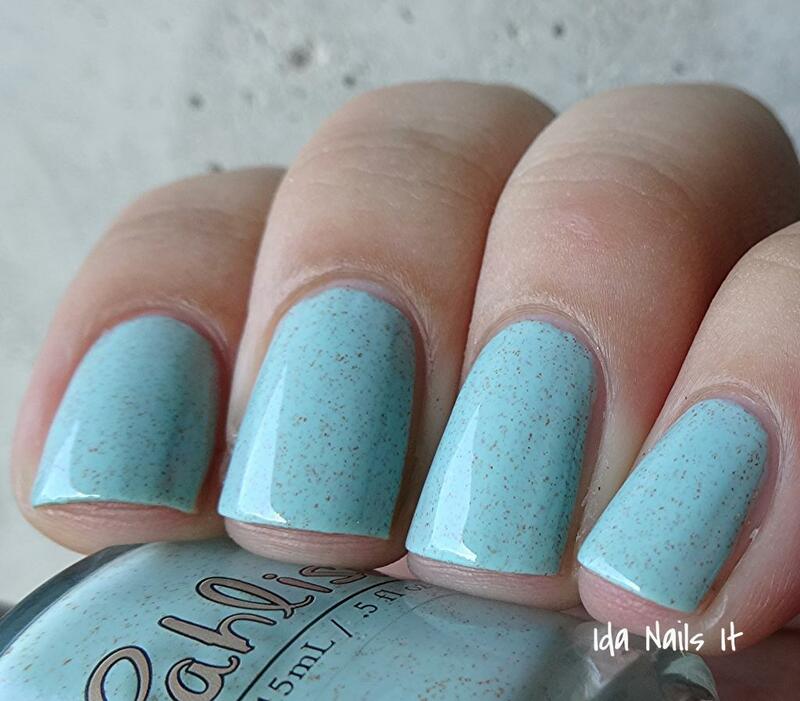 I have a new duo from Pahlish to share with you all today. 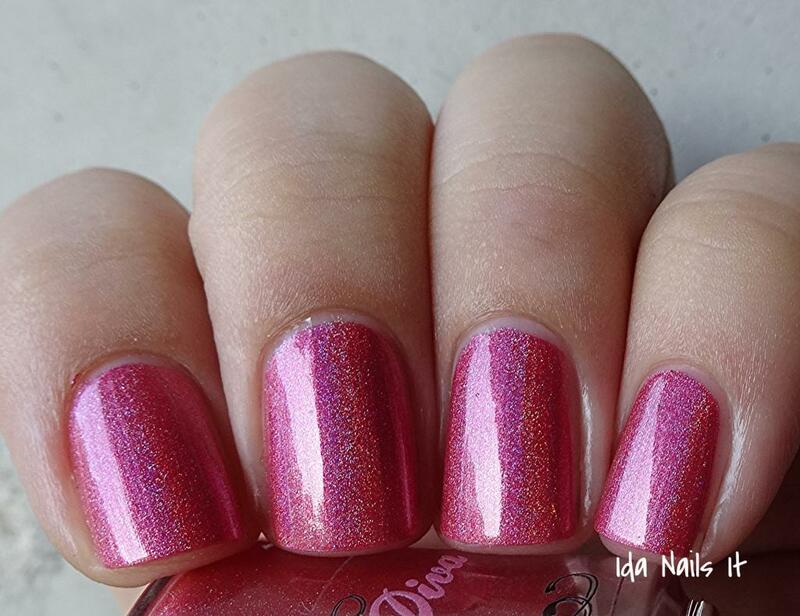 The First Day of My Life August 2014 Duo is going to become available this Friday, August 1st during Pahlish's regular 7 pm CST restock. 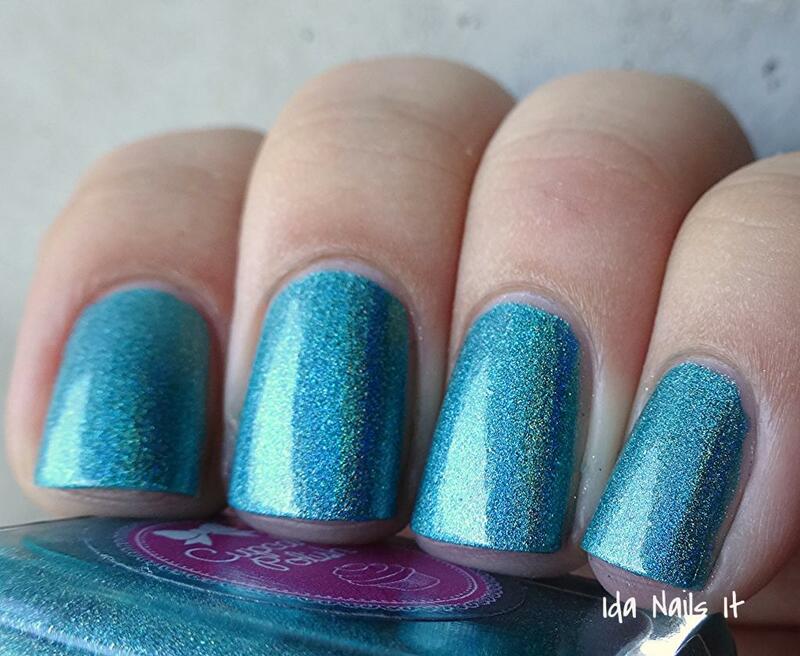 Electrique is a new core color Pahlish and is sold out at the moment but should be restocked on Friday as well. 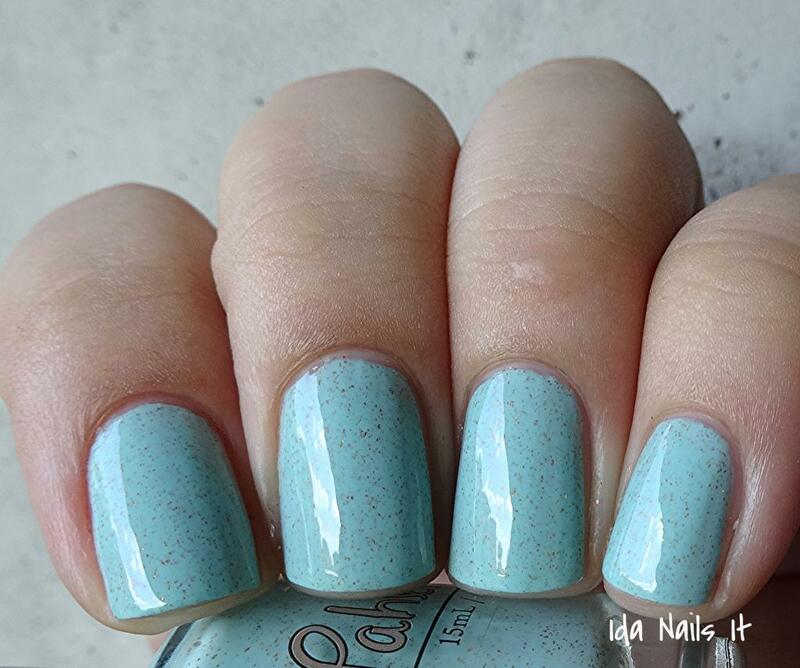 Such a gorgeous creme with the subtle copper flake shimmer. Perfect formula, per usual. 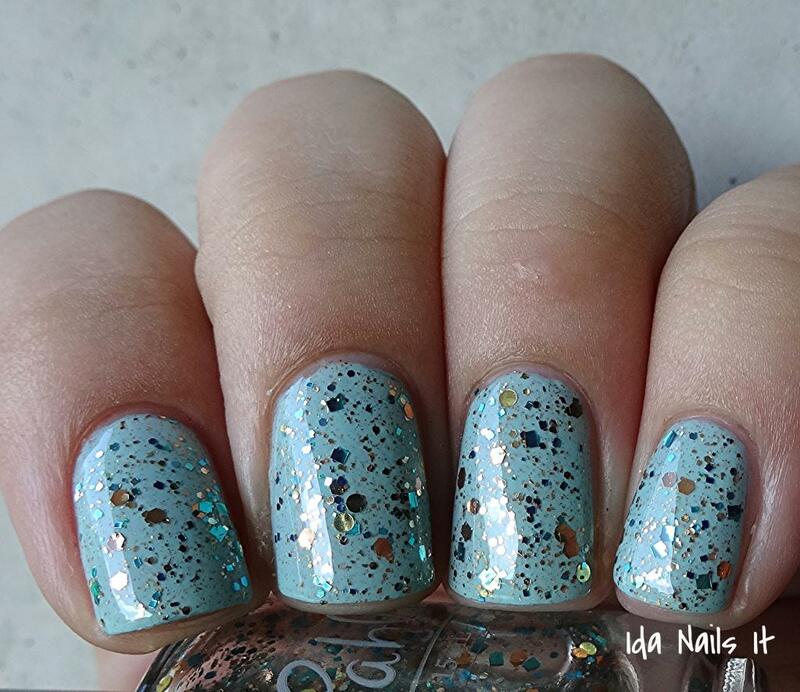 Clear base topper of turquoise, copper, gold glitter of varied sizes. 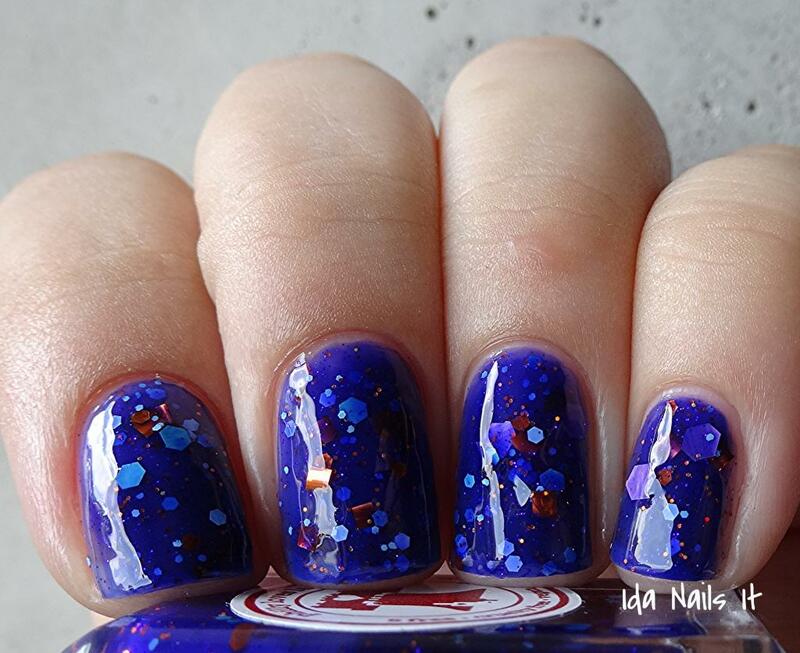 The topper makes an already pretty polish even more beautiful. Just a wonderful pairing of these together. Bold as can be! This dries to a rubber finish, but top coat will fix that. 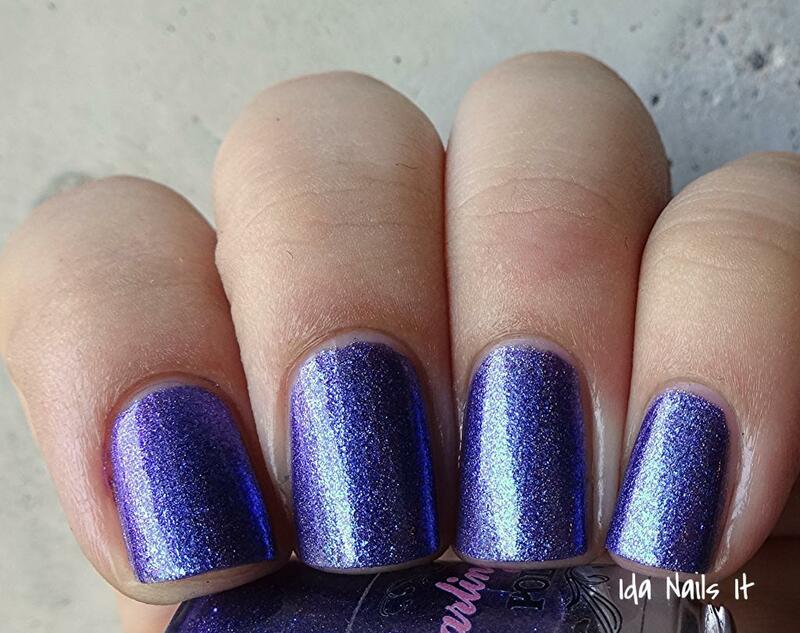 To purchase any of the polishes shown today, look to Pahlish's Big Cartel shop, and Facebook page, Blog, or Instagram for updates. 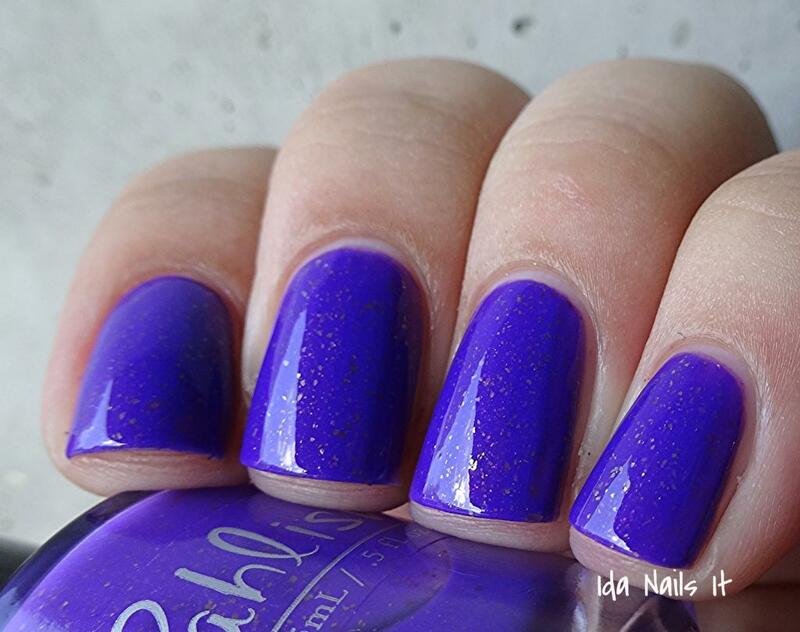 Other stockists of Pahlish are Llarowe and Edgy Polish. Hey all! 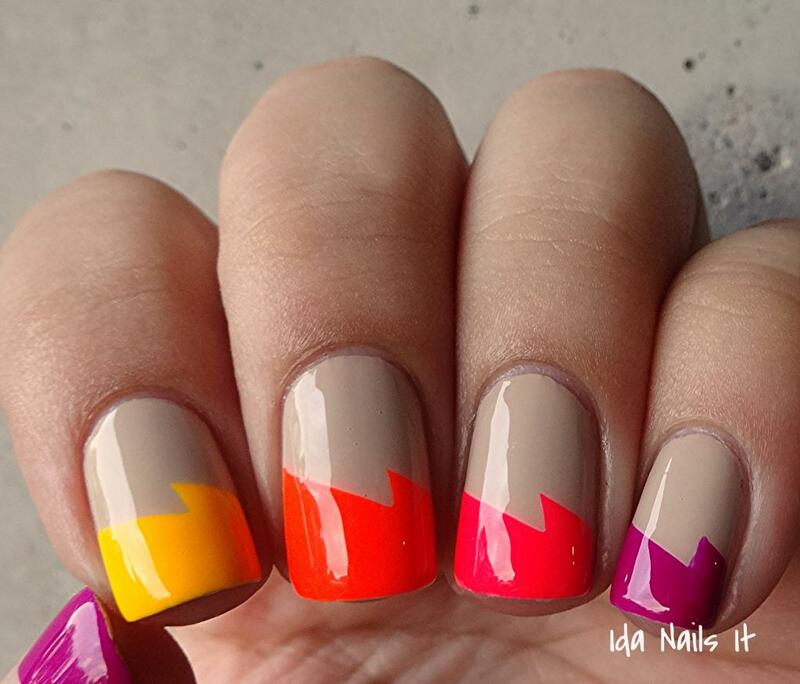 I am doing a guest post today on ColorSutraa's blog and the topic is all about nail art, specifically Nail Vinyls. Head over there to view the entire post. Colors by Llarowe (Hellcat) Oops! Colors by Llarowe (Pink) Oops! 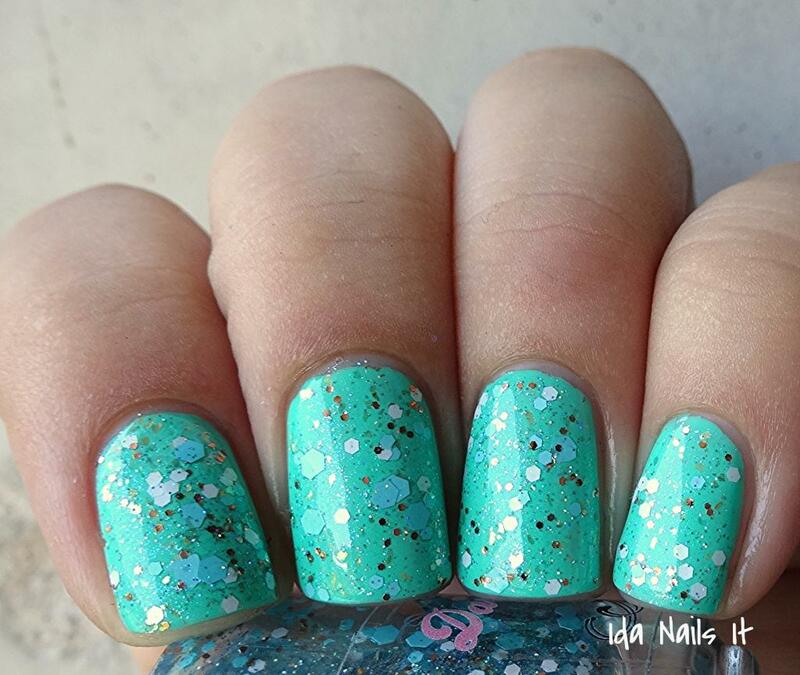 Colors by Llarowe (Teal) Oops! Hey guys! 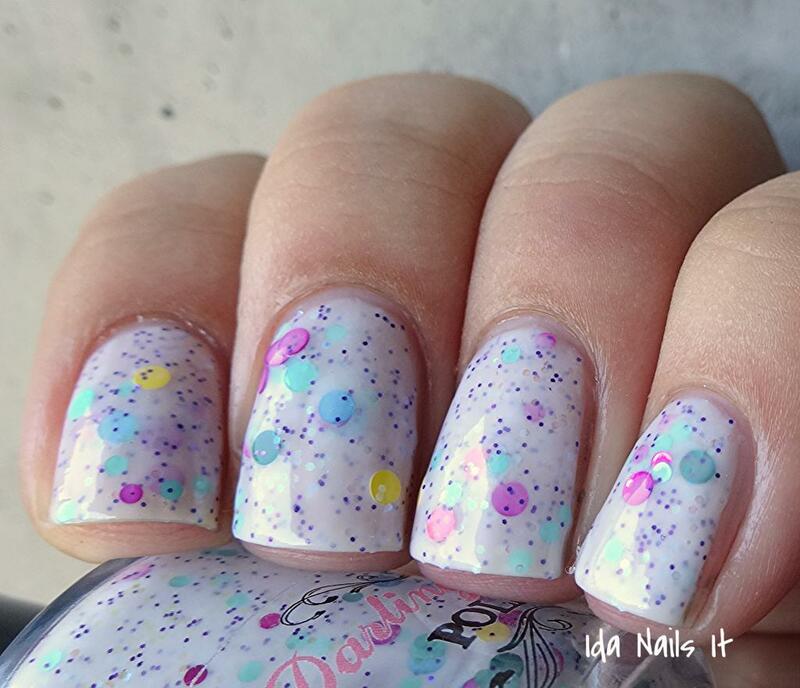 Today I have Cupcake Polish's Sweet Addictions Monthly Box for August to share. 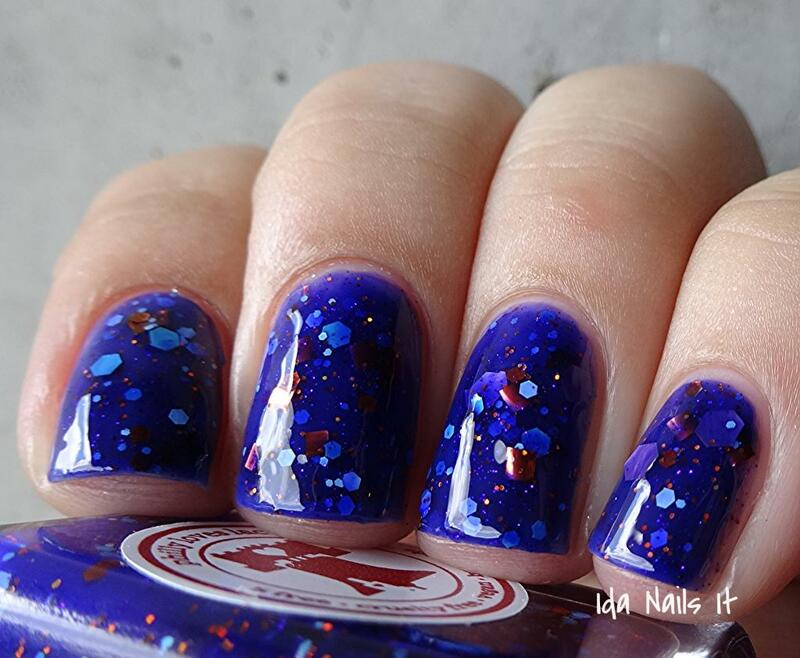 This month the theme is the Circus and along with a polish from Cupcake Polish, it will also include a polish from Philly Loves Lacquer and a set of nail shields and decals from Love, Angeline. I think the theme is just perfect for this summer month, and each item is fun and playful. All the items shown are exclusive to this month's box and will be available only through Cupcake Polish's shop this Sunday, July 27th at 11 am CST. The box will be sold for $30 (plus shipping) and is available for both US and International buyers. 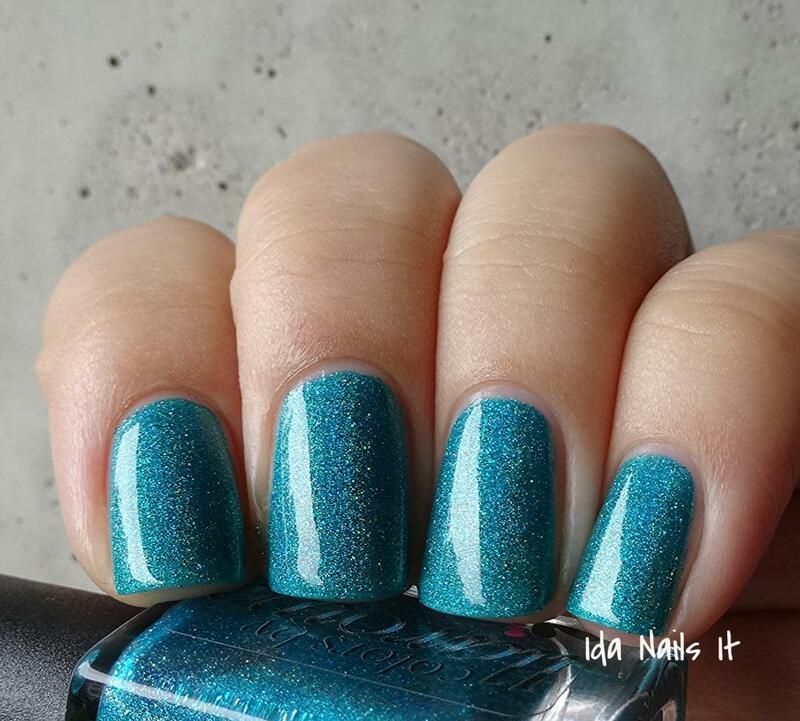 Teal linear holo with gold micro-shimmer. 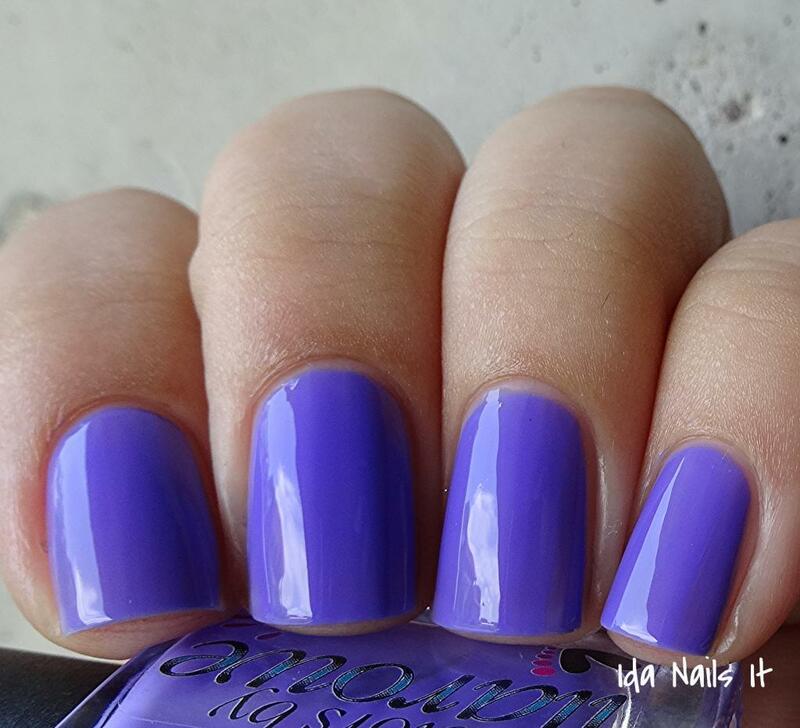 I can not tell you just how much I adore this polish. It is stunning in real life. 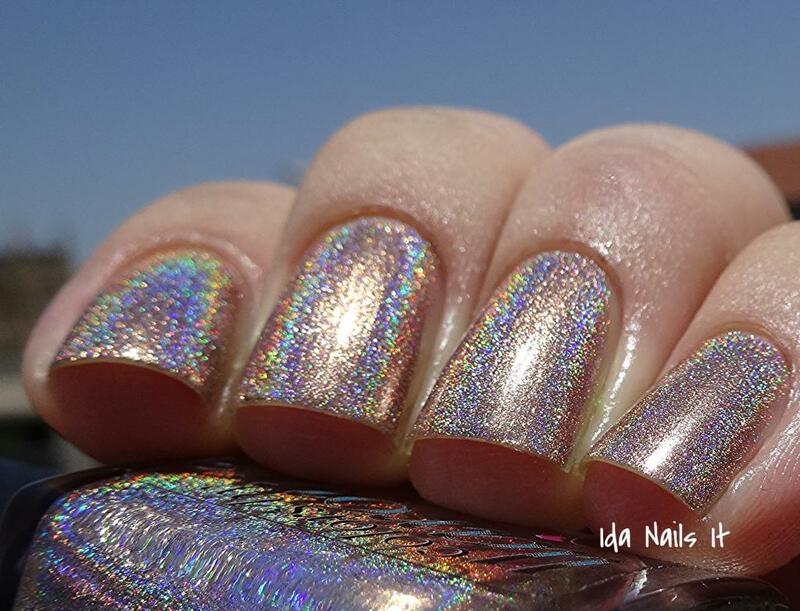 The holo is loud and proud and it applies really well. 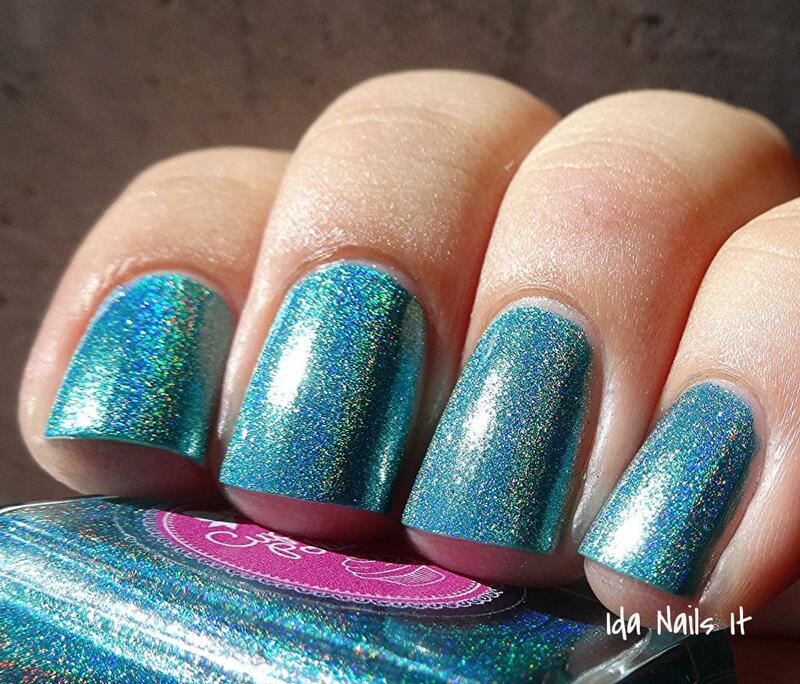 I have been craving teal holos lately and this really hit the spot, it's gorgeous. Purple jelly with blue, orange, red, & purple diamonds, squares, and hexes with gold shimmer. It's such a lovely purple and with a fun mix of colored glitter. 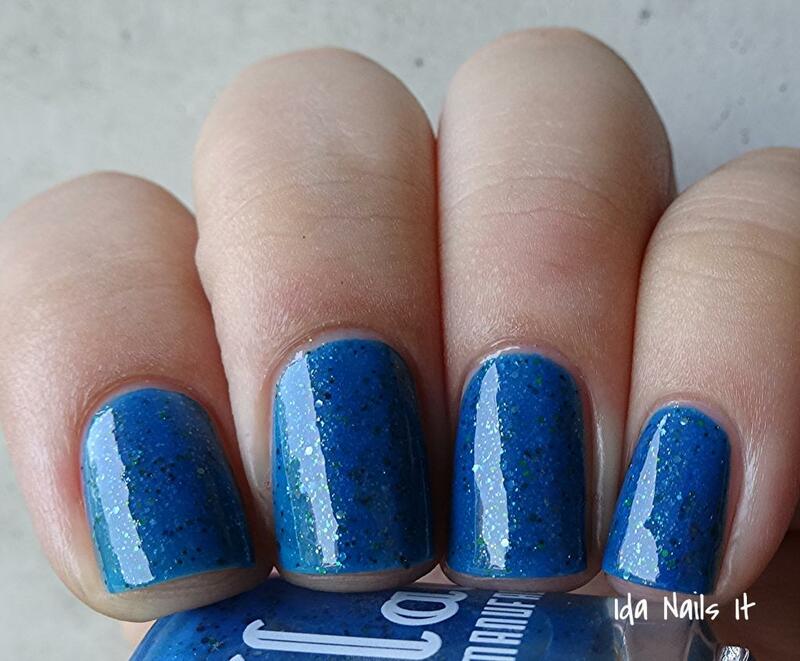 4Boys 1Mom Lacquer has her review up as well. The box will include diamond shaped nail shields and elephant decals, all fitting in with the Circus theme. 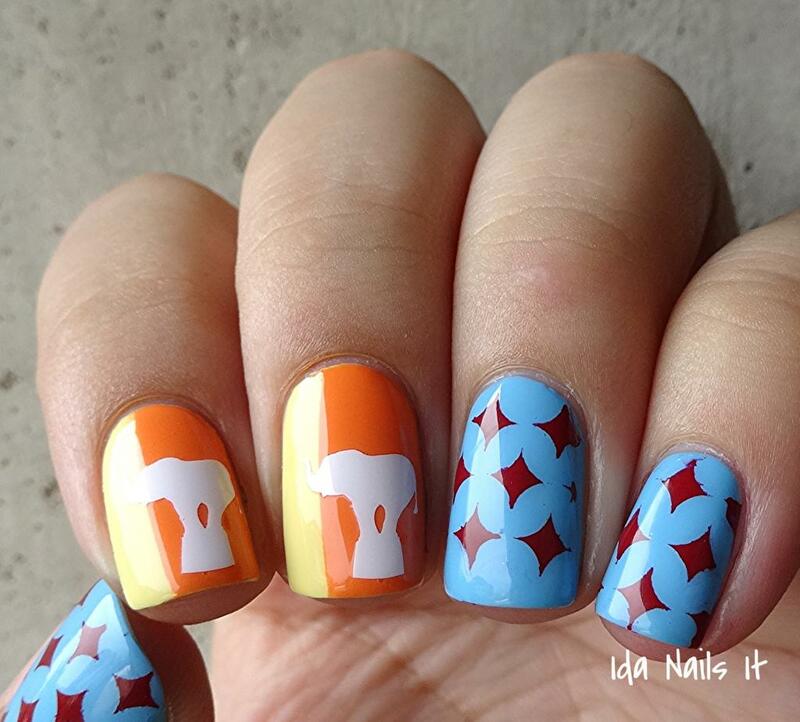 I wanted to have a look reminiscent of a Circus Big Top tent, so I went with bright blue, orange and yellow and red diamonds and applied the white elephant decals. You could also apply the black diamond shapes separately and use the elephant shape as a cutout, so many options with these. 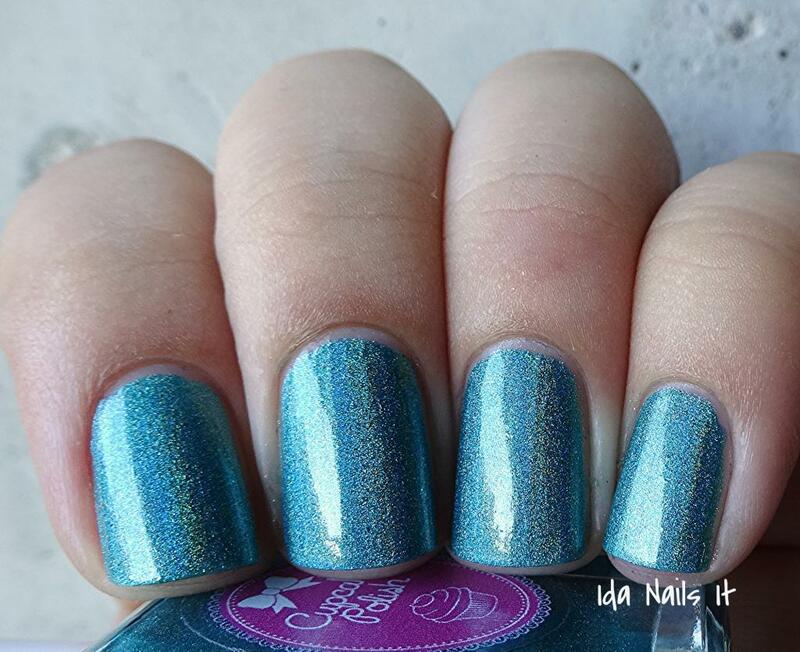 The Sweet Addictions Box for August will be available only through Cupcake Polish's shop on July 27th, 11 am CST, for $30 plus shipping and will ship worldwide. Hello all! 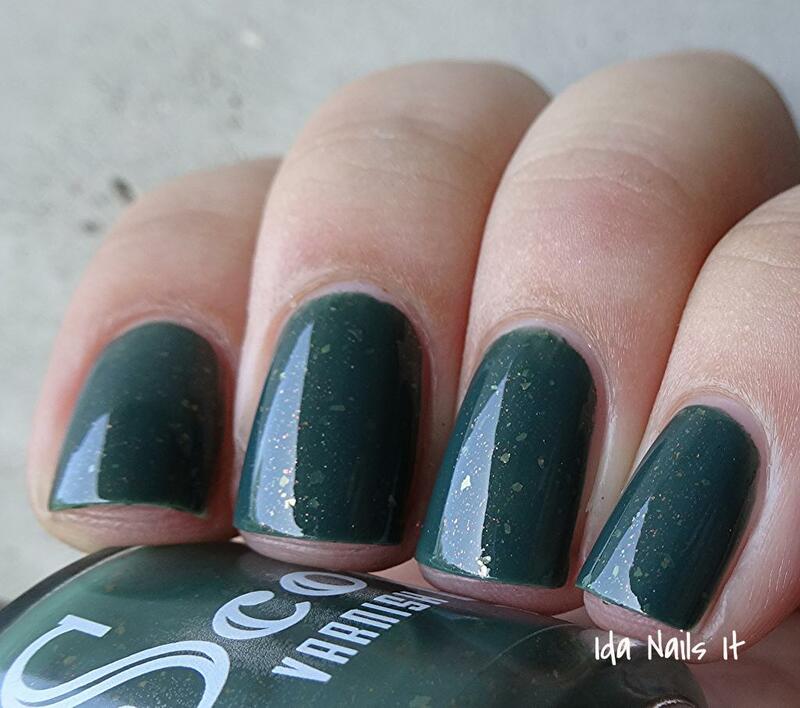 Today I have a new collection from Scofflaw Nail Varnish. 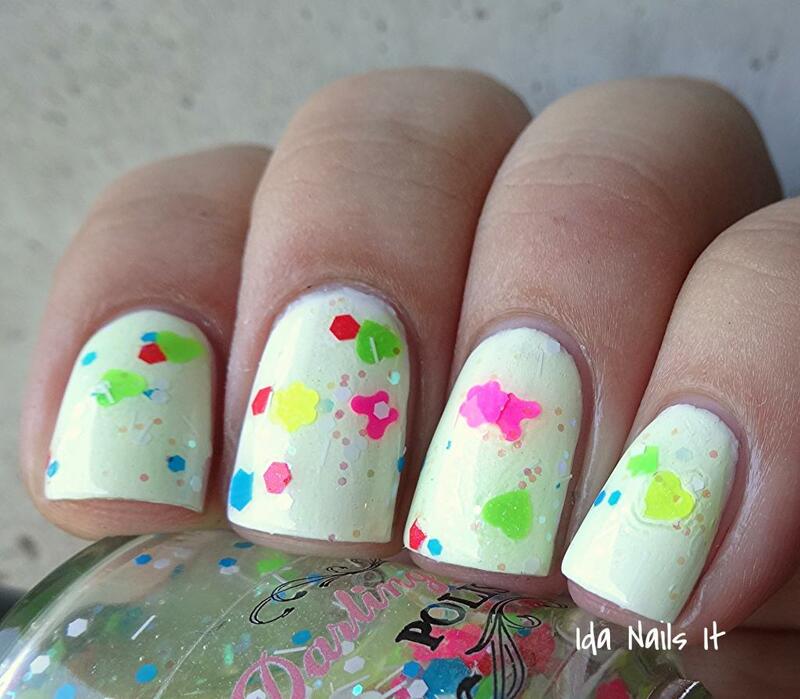 The Summer 2014 Collection has ten fantastic polishes, including a duo, and they all will be available this Sunday, July 27th, at 12 noon CST in her shop. I look forward to each new collection from Scofflaw and I was blown away when I received these. Finch, the creator of Scofflaw, has a magic touch with colors and that is so evident here. 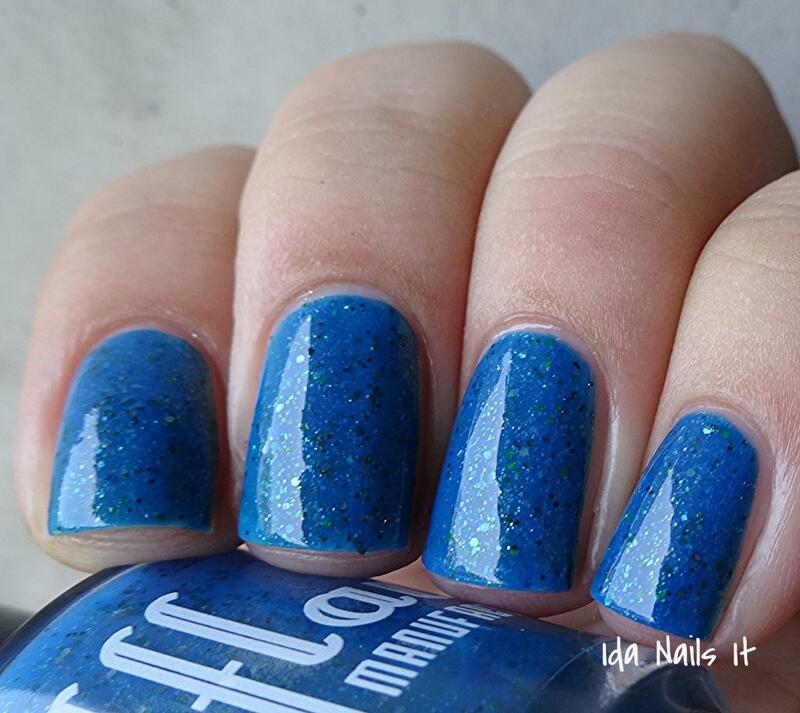 Deep blue creme with green micro-glitter and green and charcoal micro-flakes. 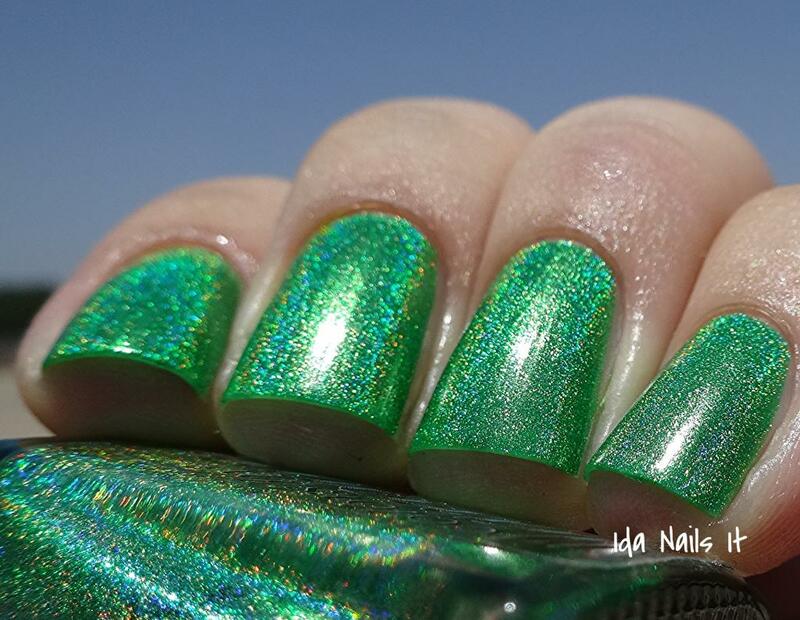 Love everything about this, from the song referenced in the name, to the brightness of the blue to the green sparkle. 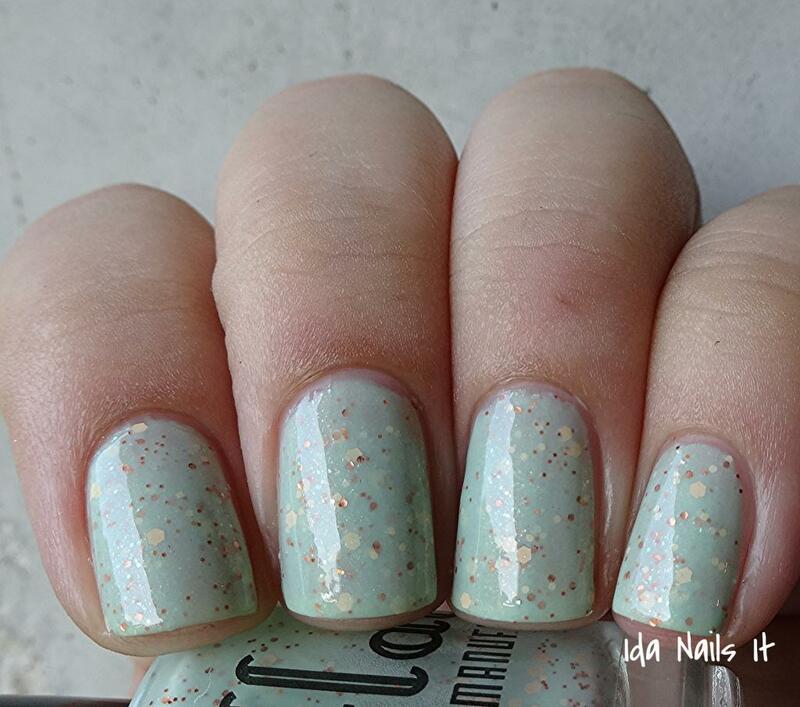 Mint green creme base with peach, orange, and copper glitter & green and peach shimmer. My oh my, will you look at this? 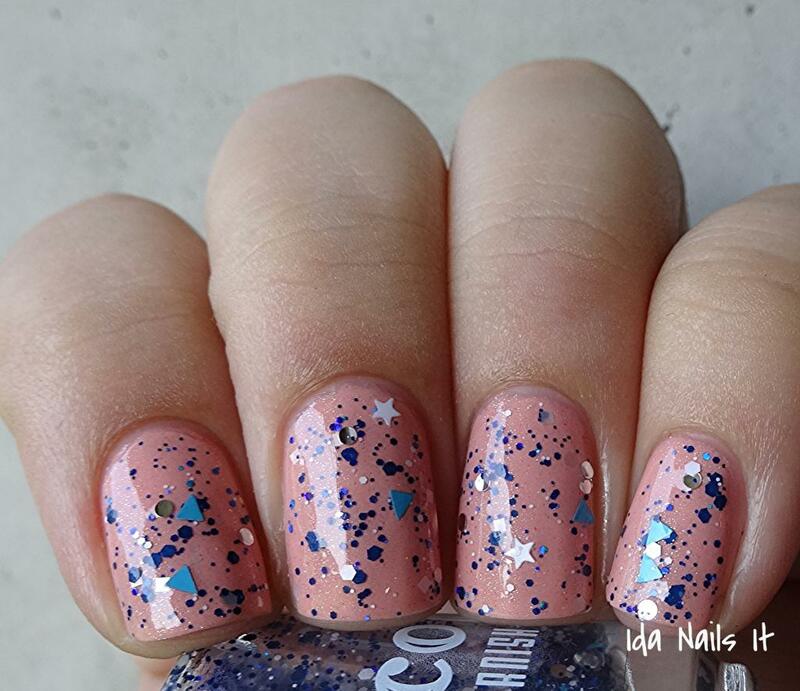 It's soft but has the unique complimentary glitters. 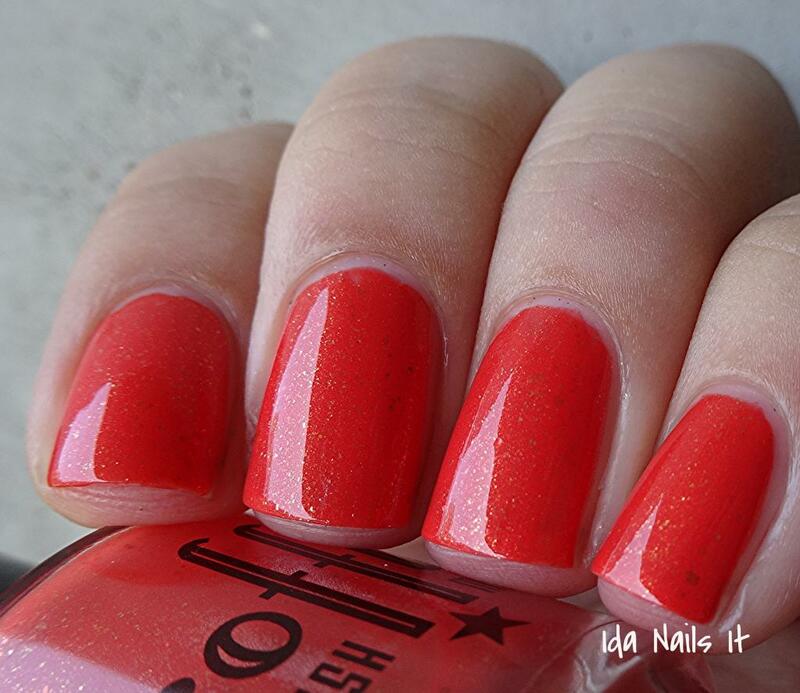 Red/orange creme with orange and gold shimmer and micro-flakes. I think I may have said a resounding YES when I saw this one. 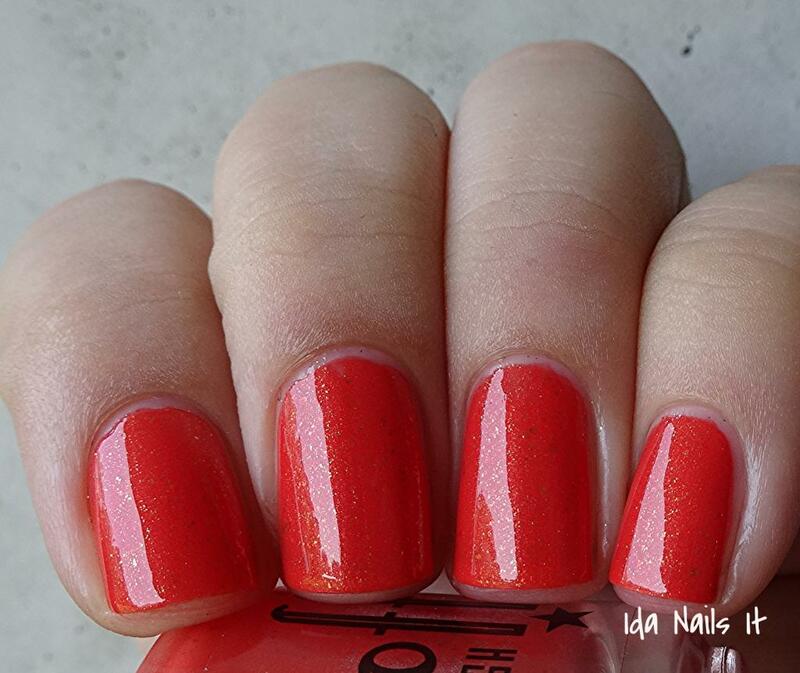 It's bold and in your face, just how I like my red/orange polishes. Cherry red creme with red sparks and blue iridescent micro-flakes. 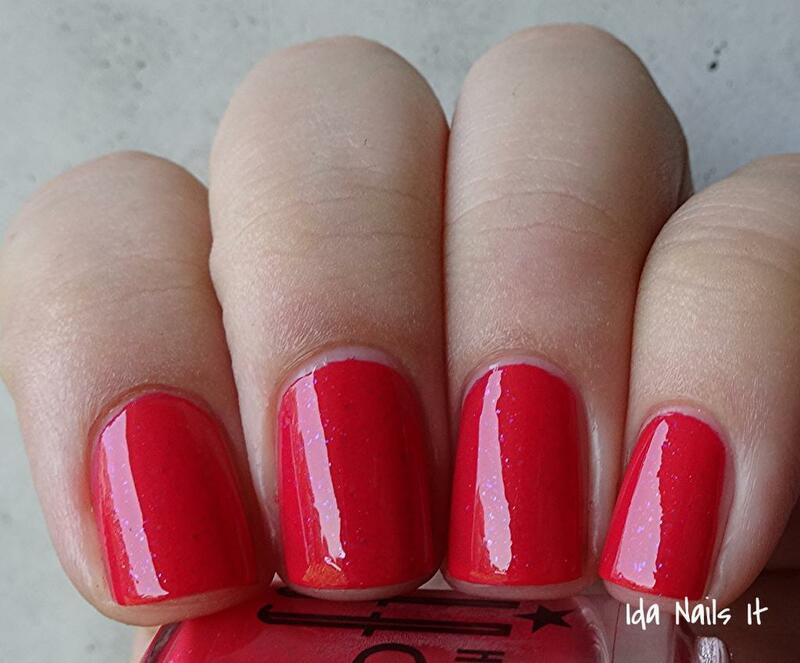 A much cooler toned red polish compared to Blind Tiger. 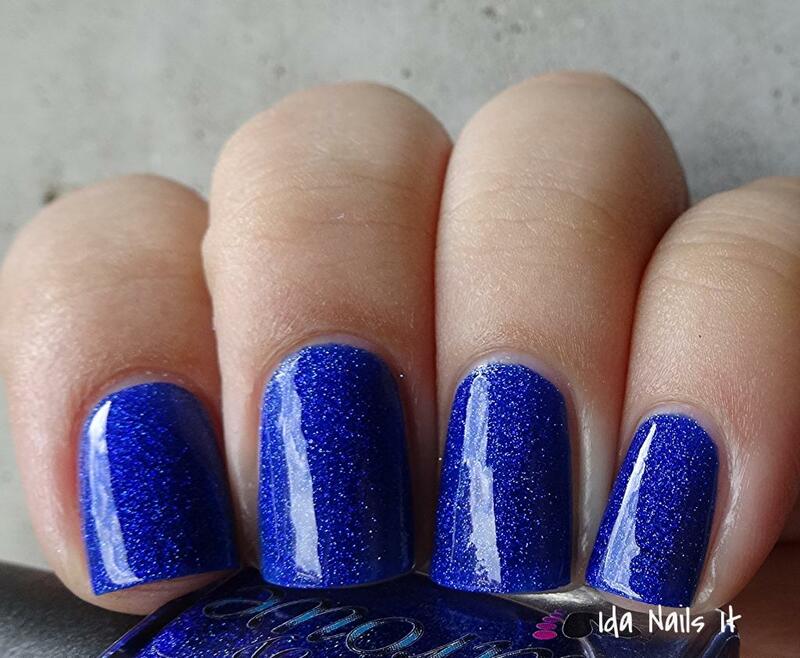 I love the pop of blue sparkle you get from those iridescent flakes. 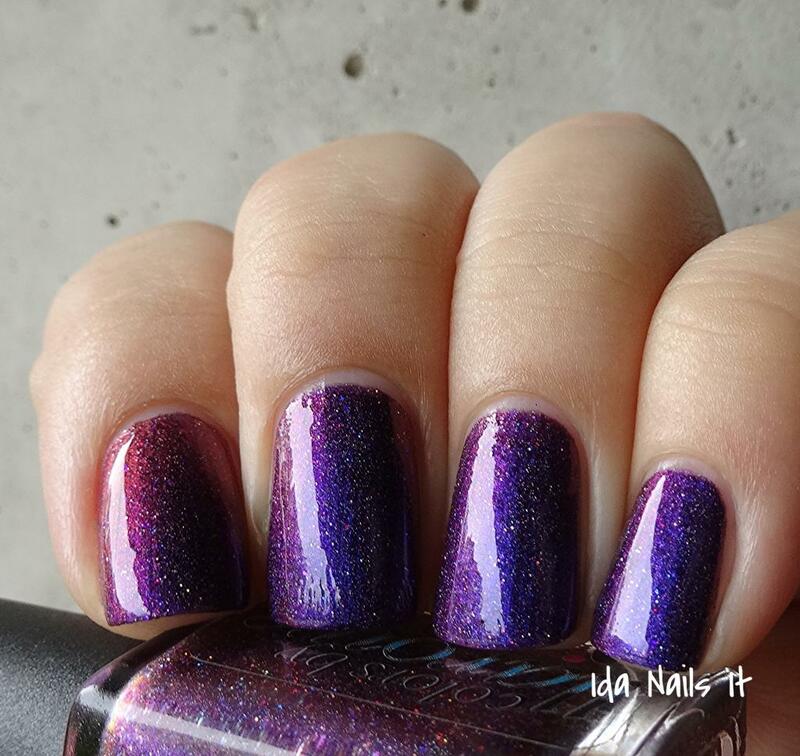 Plum purple creme with matte pink and lavender glitter and blue shimmer. Again, the blue sparks are an awesome touch here. 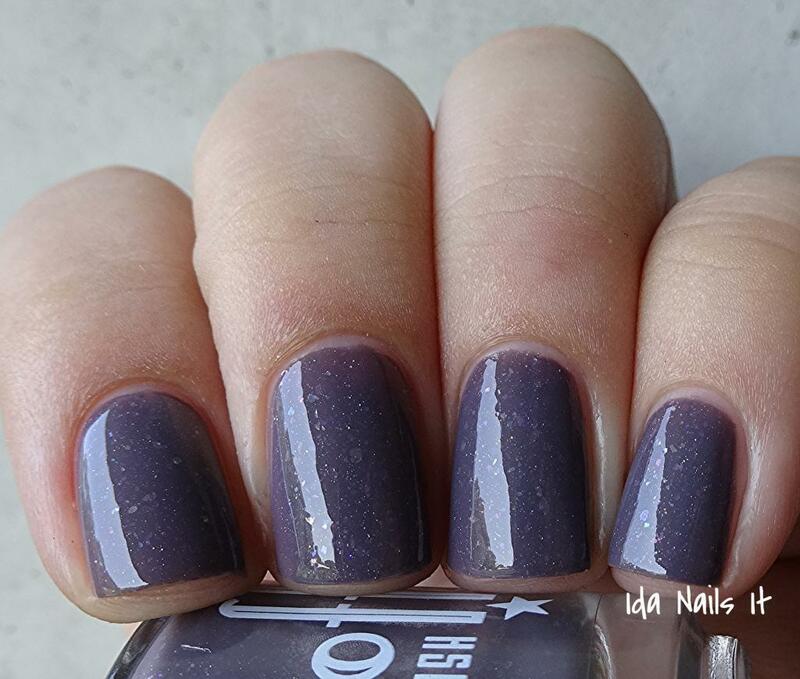 Dusty purple leaning taupe with iridescent rainbow shimmer and flakes and a dash of holo. Inspired by a local bar in Austin (that I actually drive by every day!). 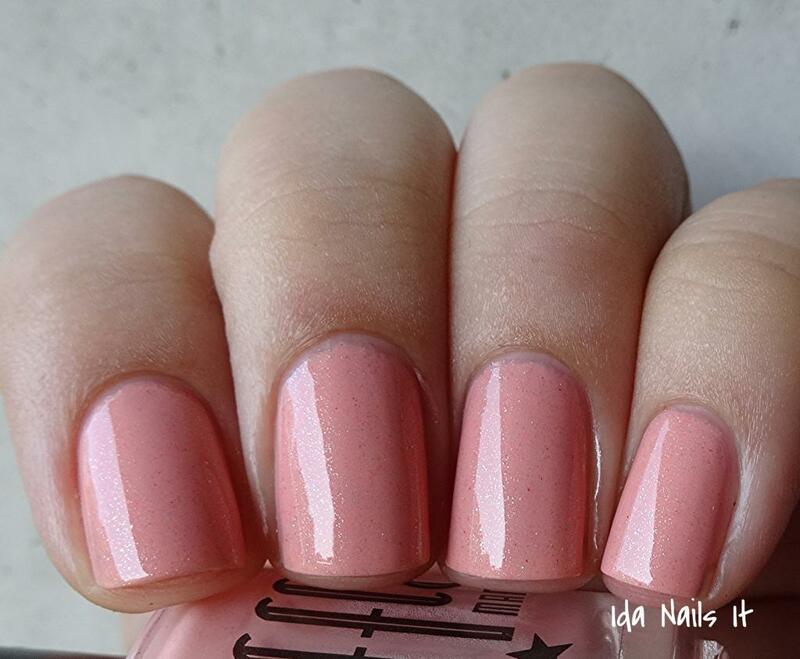 An fantastic neutral-with-a-twist polish. 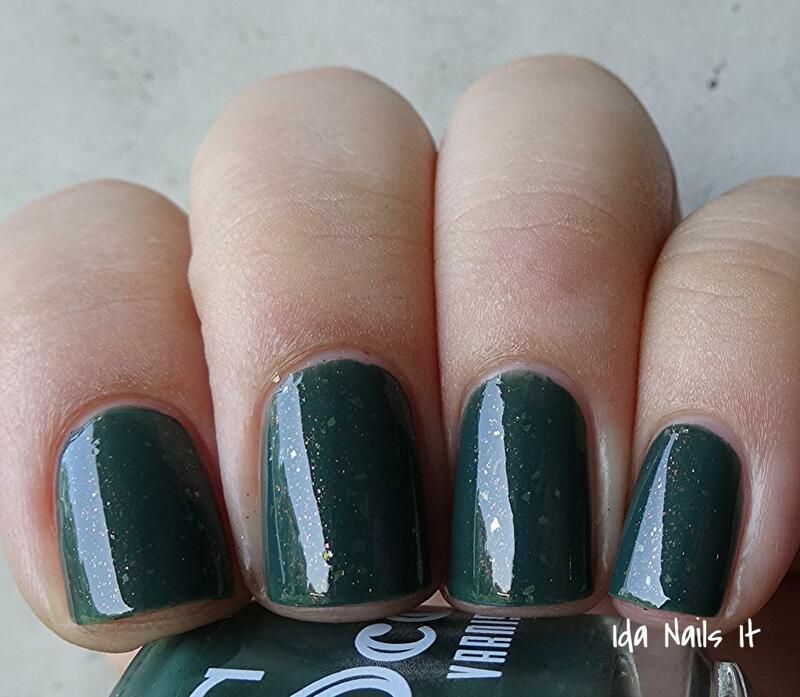 Forest green creme with gold flakes and red/orange shimmer. 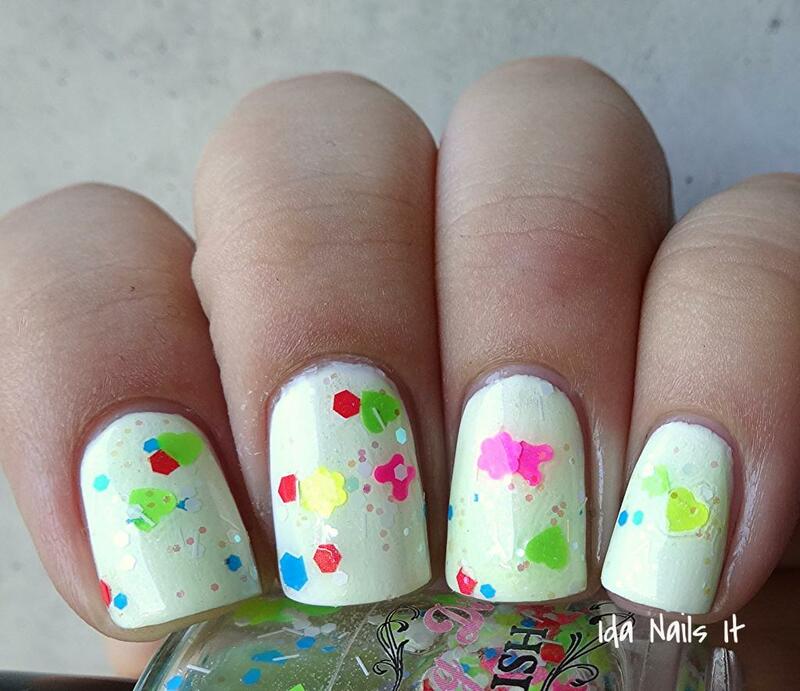 My inner child is so happy to see this polish. I can't think about my childhood without thinking about Mister Rogers' Neighborhood and this a wonderful interpretation of his warmth and cozy nature. 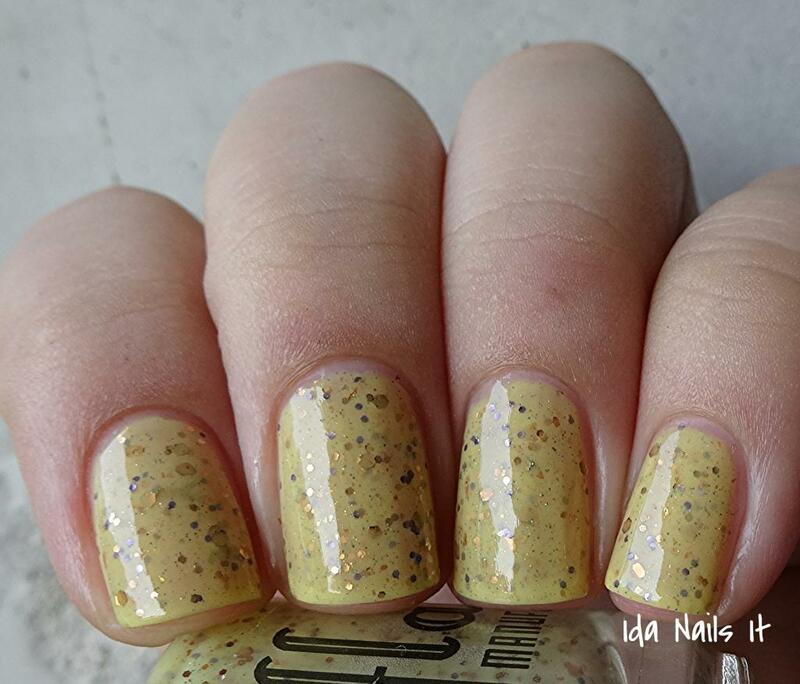 Pale yellow with caramel and lavender glitter, gold shimmer and blue sparks. 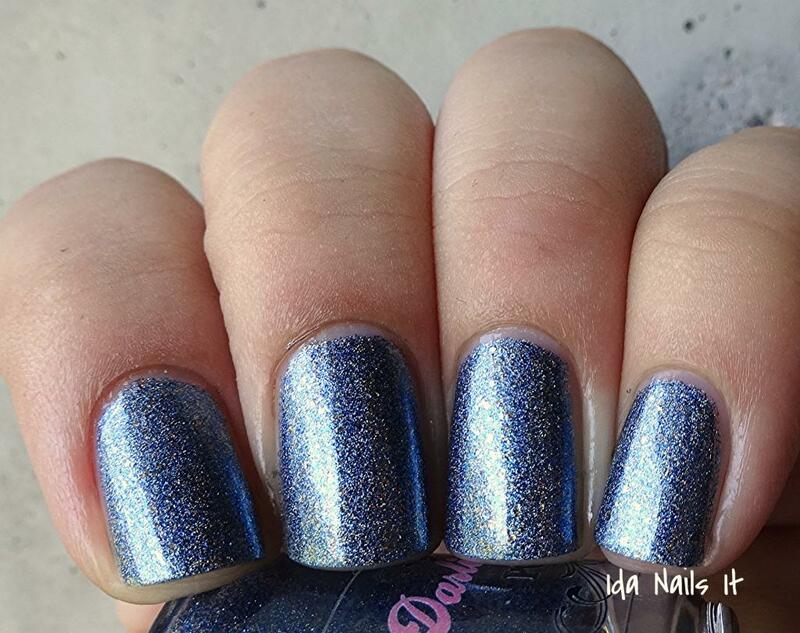 Clear based topper of silver, white, navy and turquoise various glitter. 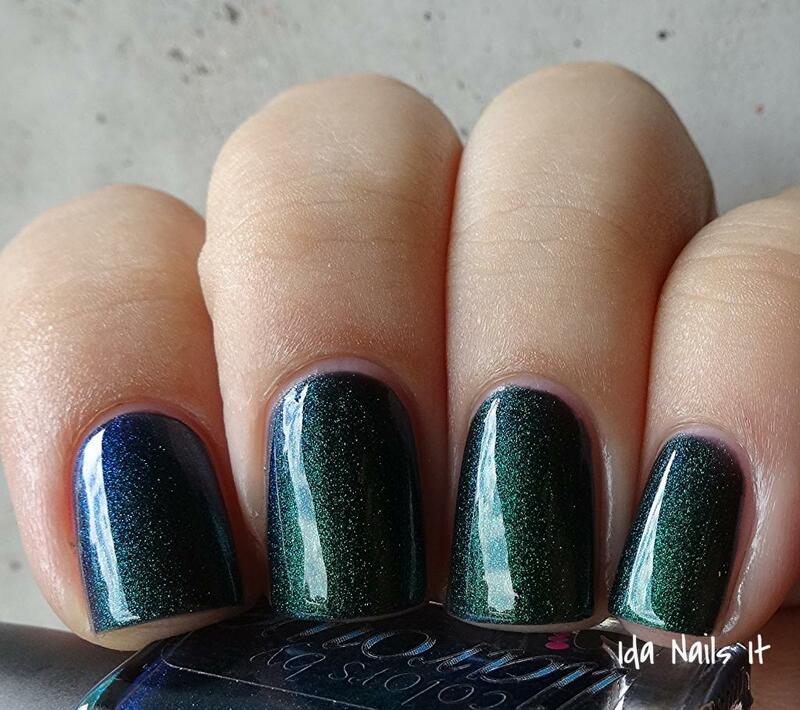 Oh man, these two polishes are just flipping gorgeous! Definitely my favorite ones of the collection. 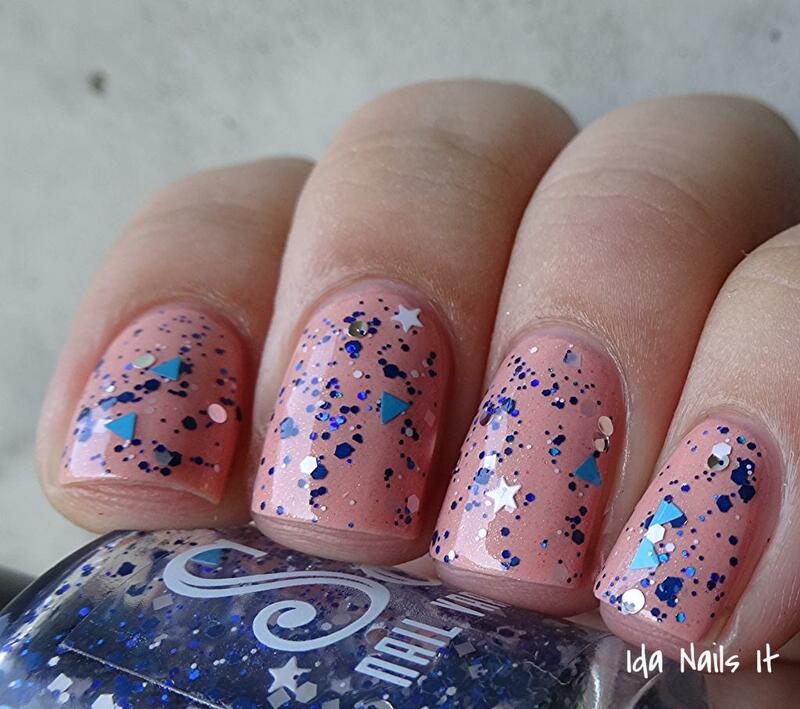 The color contrast between the glitter and the soft pink is perfection. 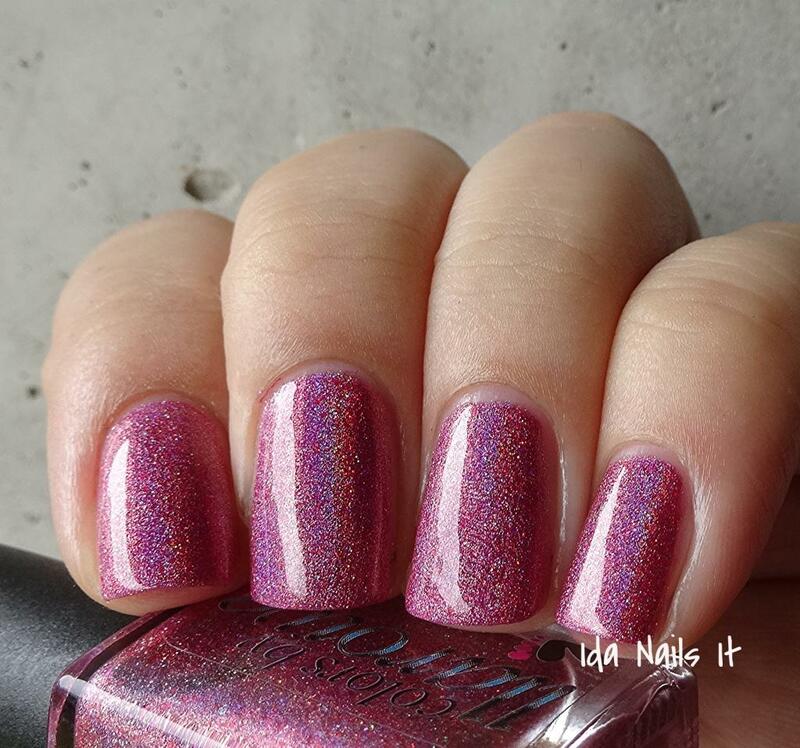 Scofflaw Nail Varnish are available in her Big Cartel shop as well as through Femme Fatale, Mei Mei's Signatures, and Rainbow Connection. Updates can be found on Scofflaw's Facebook page, Instagram, and website. Hey guys! 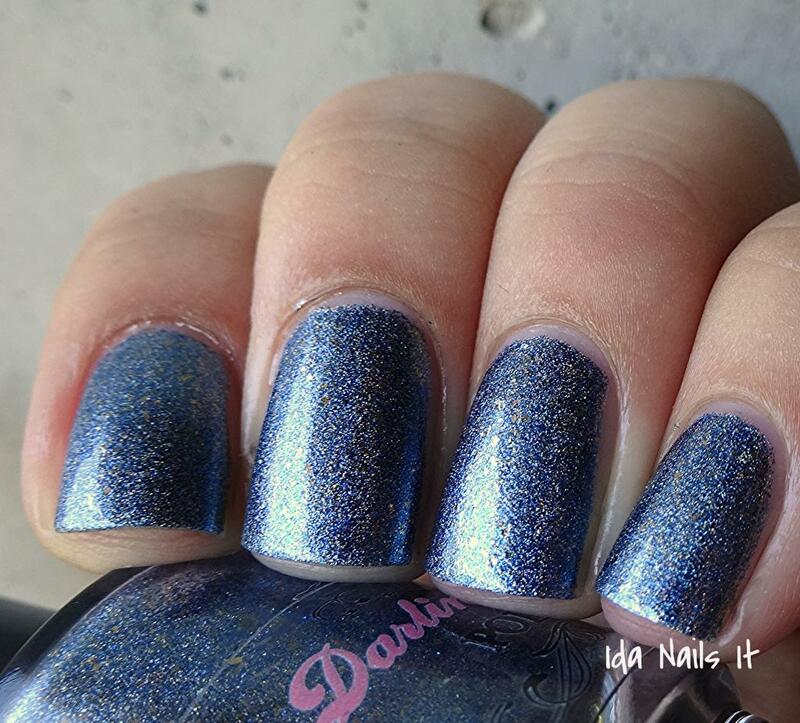 I have a new collection from Darling Diva Polish to share with you today. 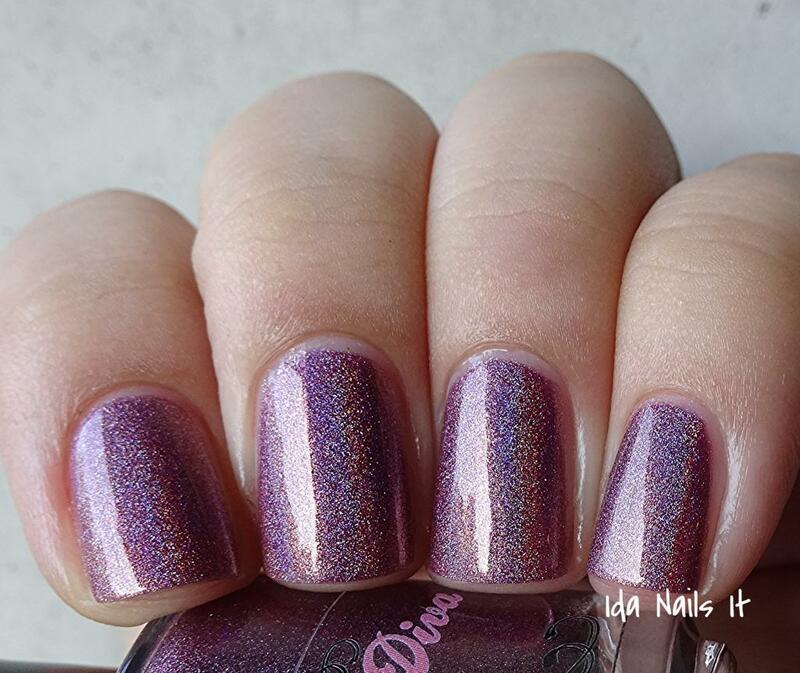 The Shades of a Diva Summer 2014 Collection consists of 12 polishes and they are exclusive to Llarowe's shop. 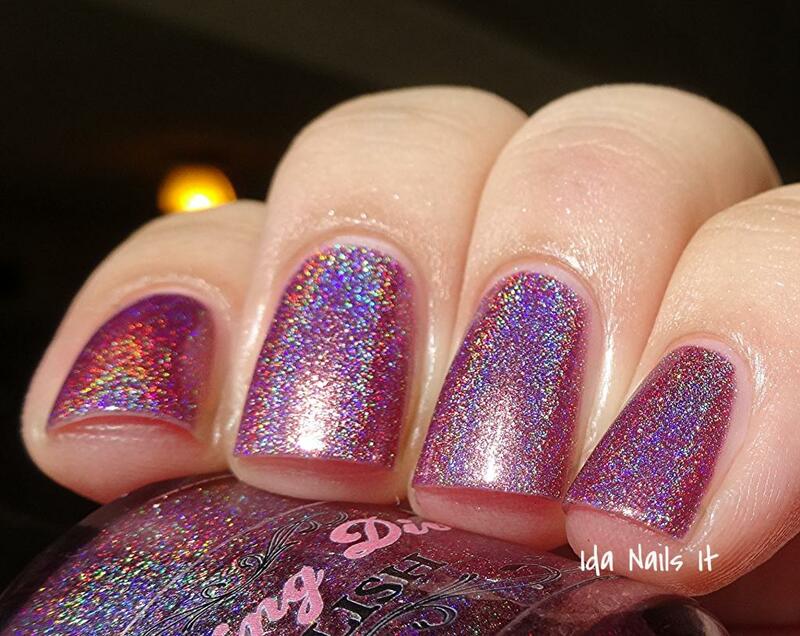 There is a something for everyone in this set, holos, shimmers, glitters, oh my. 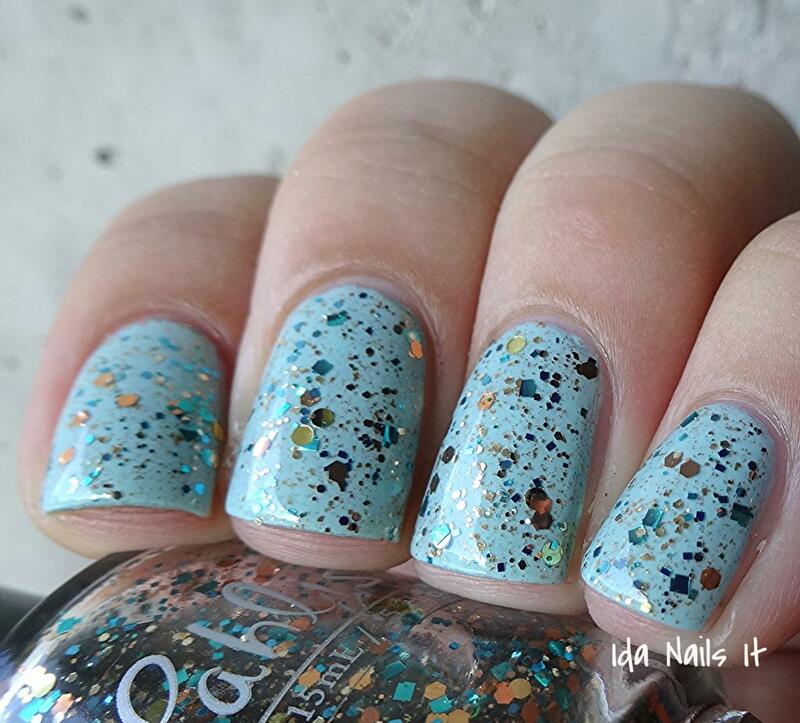 I dare you to not come away with at least one (or two or five) polishes from this collection that you must own. Brings to mind Zoya Crystal but so much better in my opinion. YOWZA. This one is stunning in person, trust me on this. 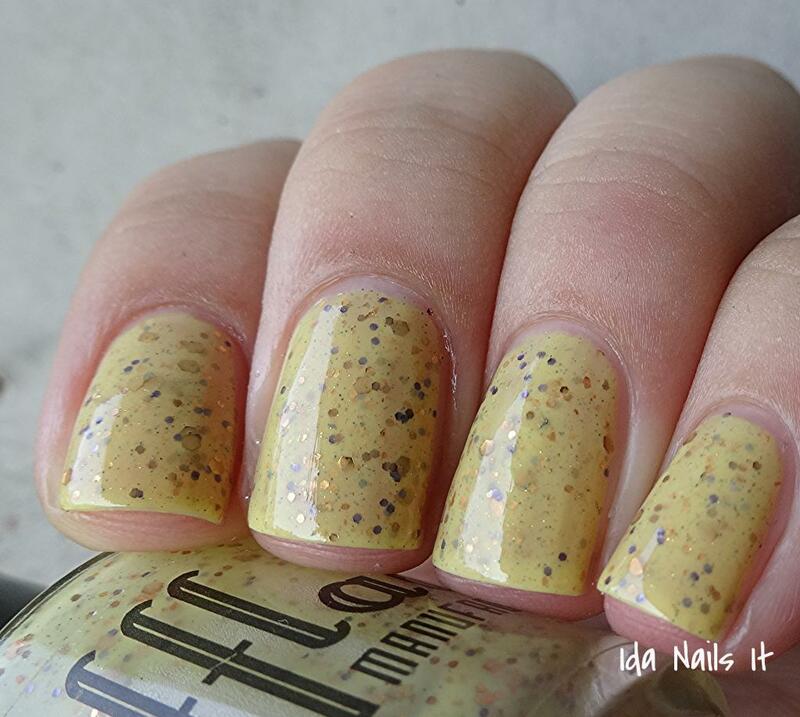 Tinted yellow jelly base with various neon, white and iridescent glitter. 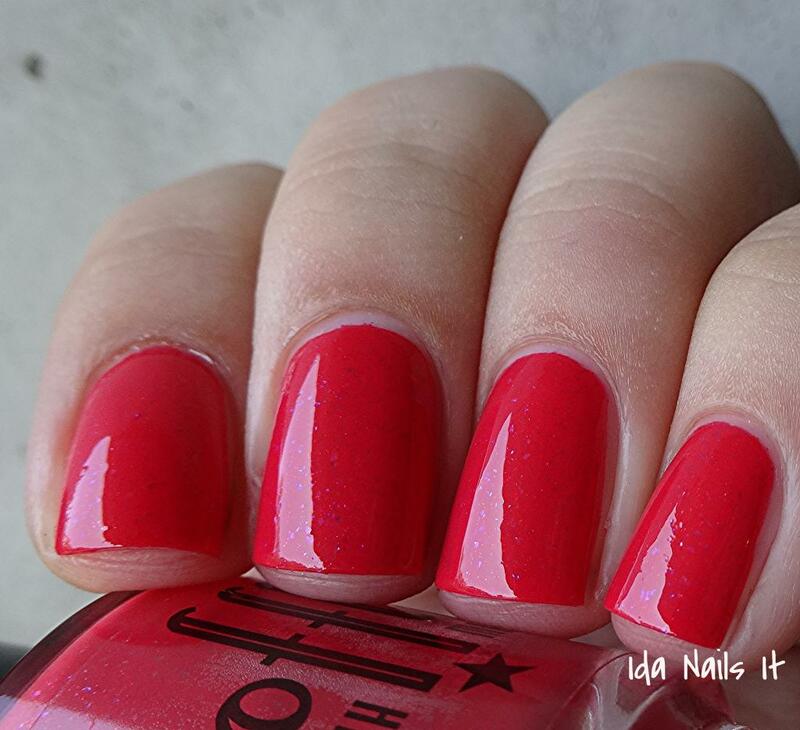 Very much a Darling Diva Polish, playful and fun. 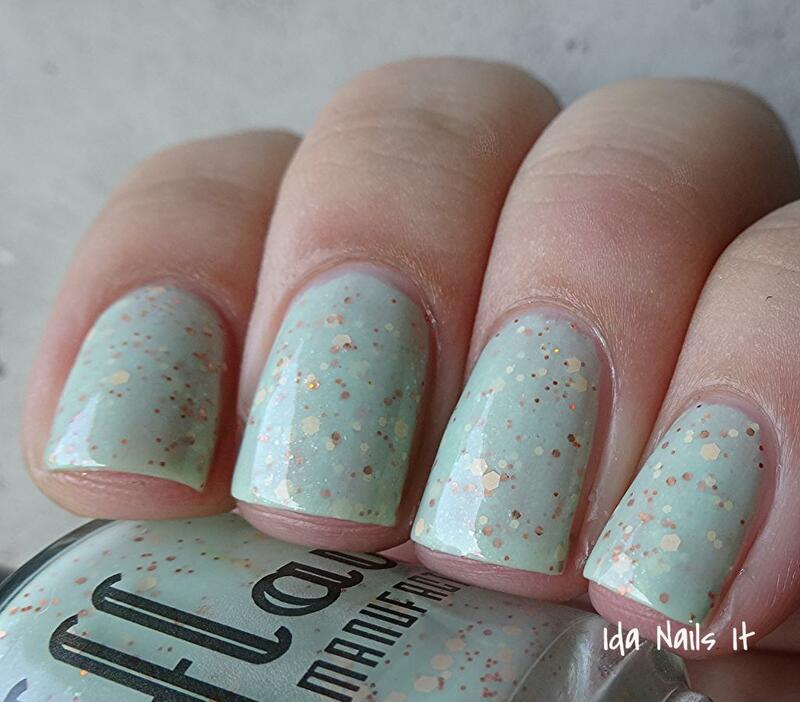 Clear based topper of white, copper, turquoise, and mint glitter and gold shimmer. 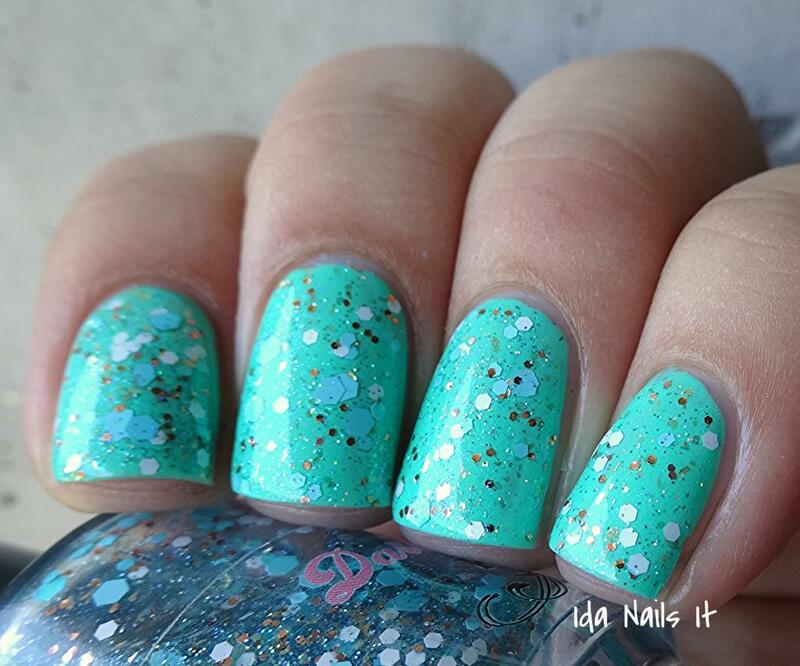 My favorite of the glitter polishes in this collection, something about this combination of colors works so well. 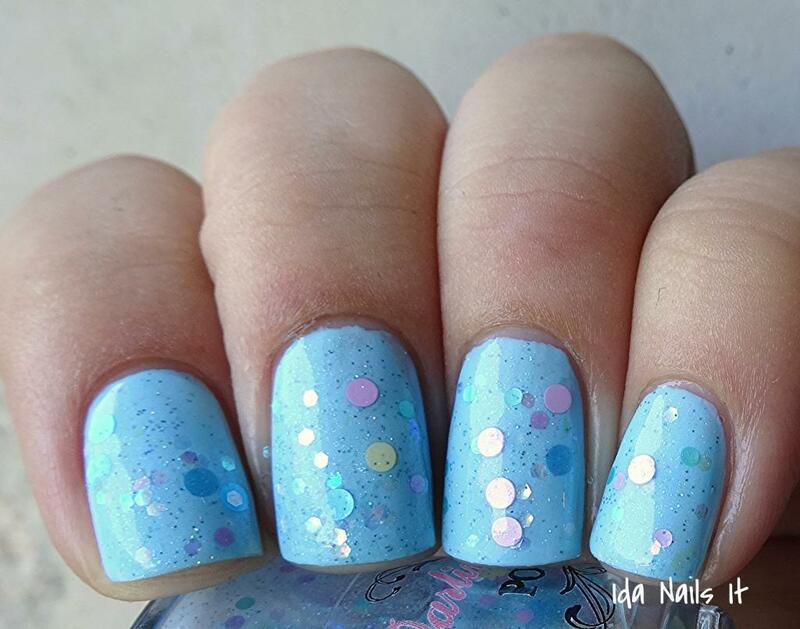 Blue tinted jelly base with various pastel circles glitter and silver shimmer. Bubbles! That was the first thing that popped into my mind, which is why I especially like this over a complimentary pale blue base color. 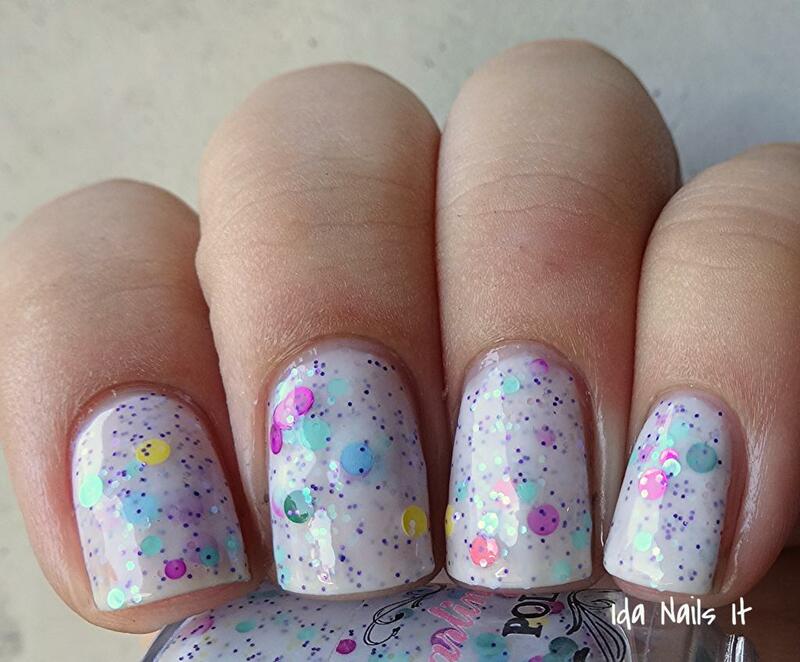 White creme/jelly base with various circle glitter and purple micro-glitter. As is my experience with white crelly polishes, this will require a little more patience with application. Just wait a few more minutes than usual between coats and light coats are better. 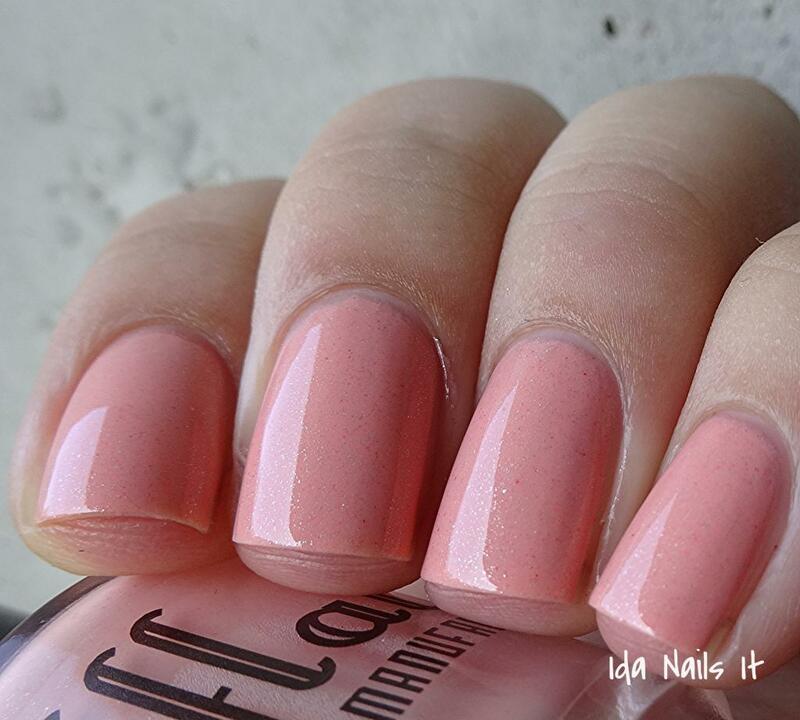 This is a warm pink, almost coral but not quite as orange. 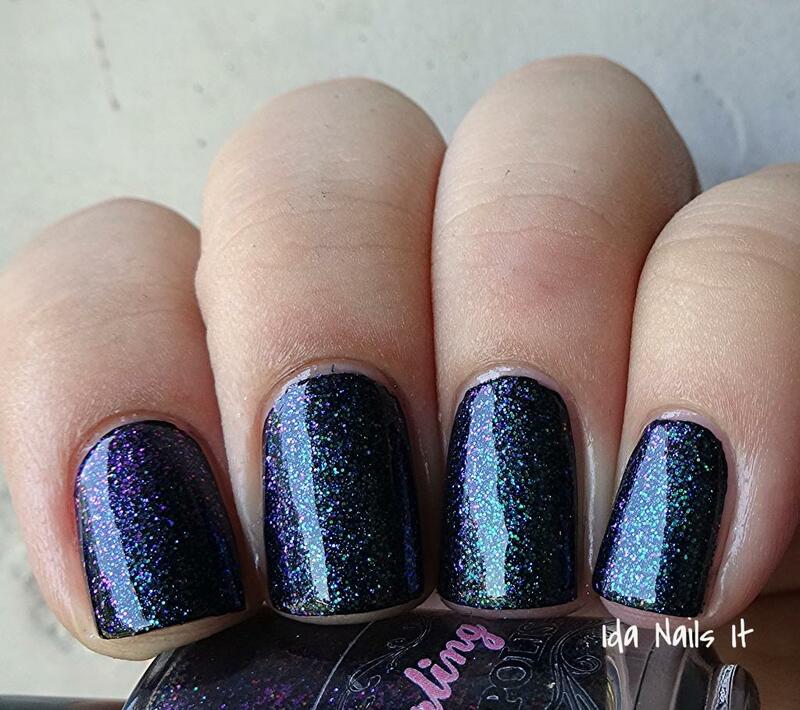 Slate blue linear holo with flashes of purple. I think I like this one the best out of the holos in this set. 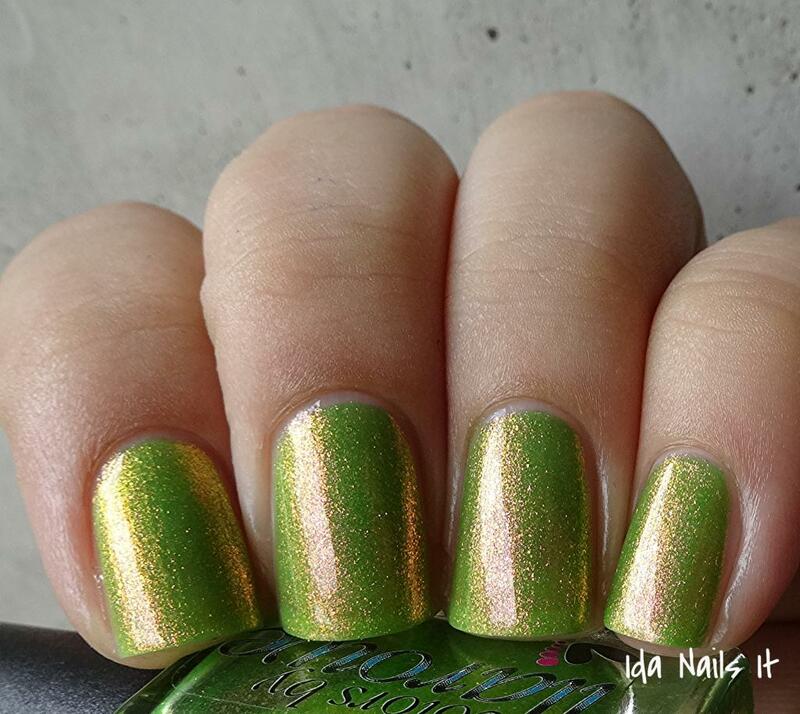 I don't own too many olive toned holo's so this is a nice unique color to add to my collection. 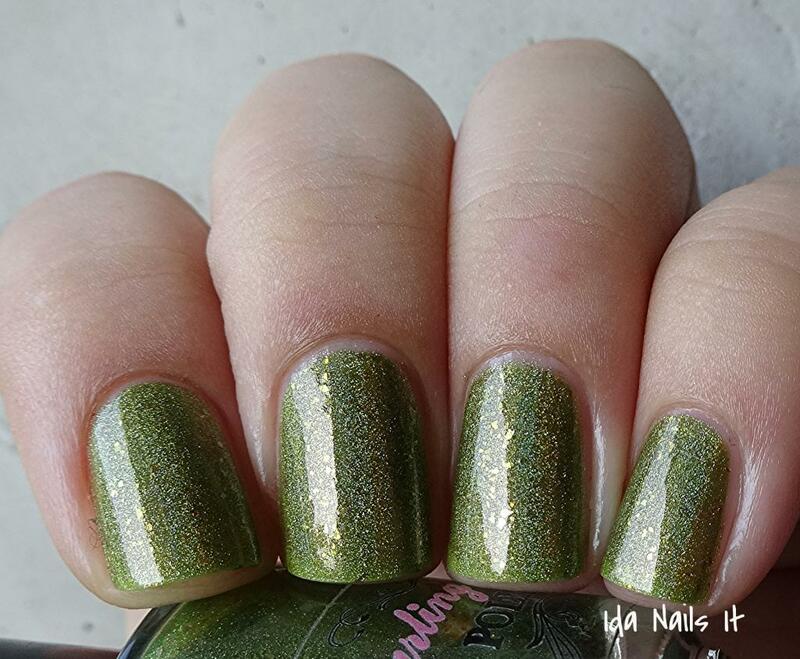 Charcoal linear holo with gold micro-flakes and flashes of green. 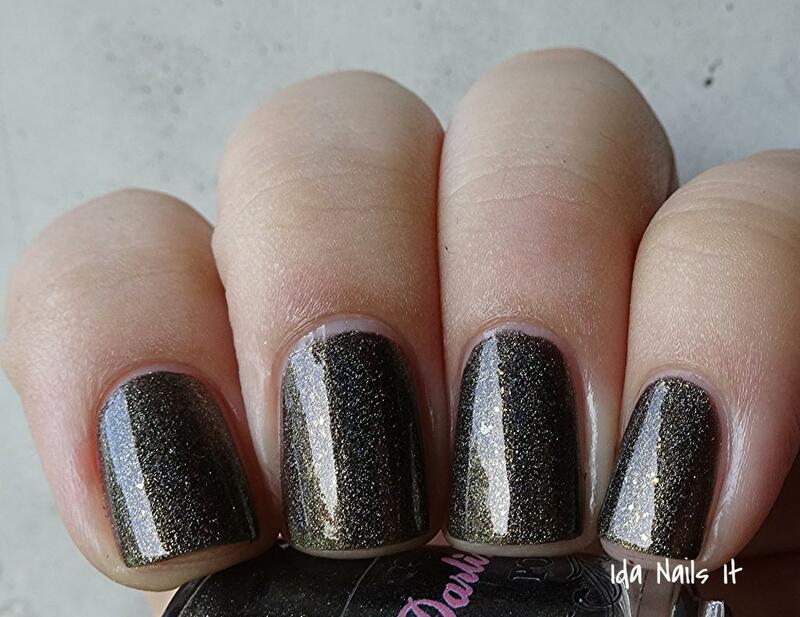 Almost a burnished golden brown look to this polish and very much a color I will put out in the fall season. 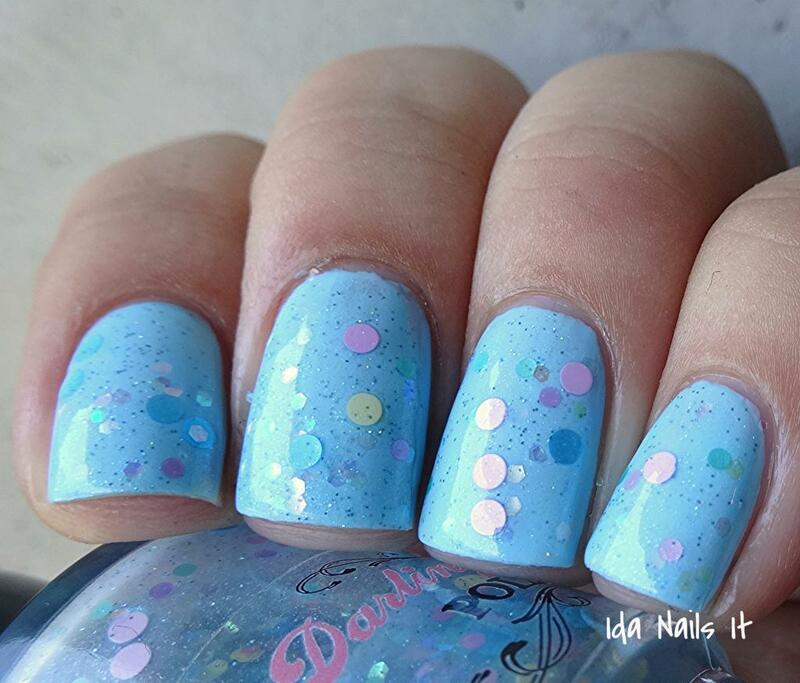 These polishes are exclusive to Llarowe's shop and can be purchased here. 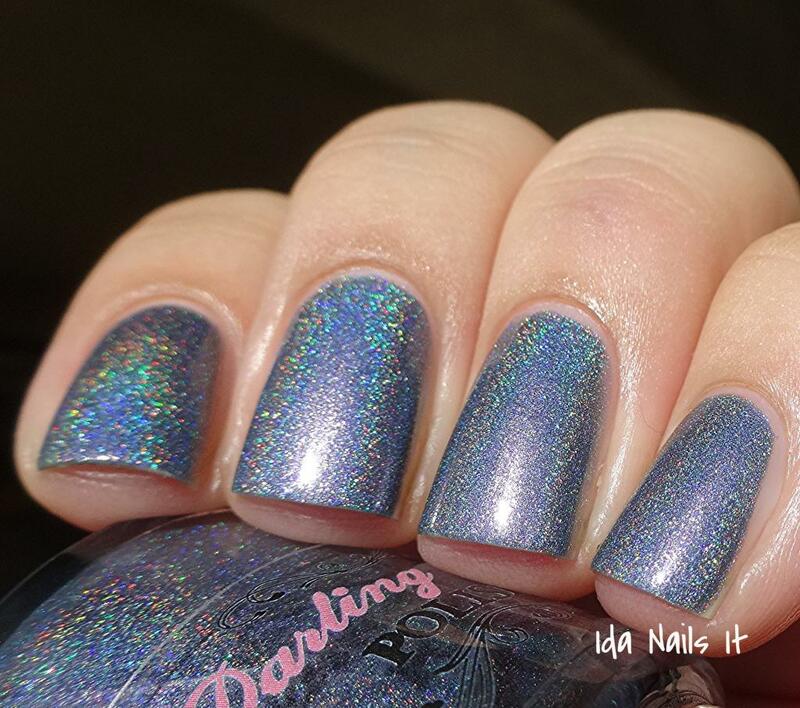 To purchase other Darling Diva Polishes, look to her Big Cartel shop as well as Edgy Polish. 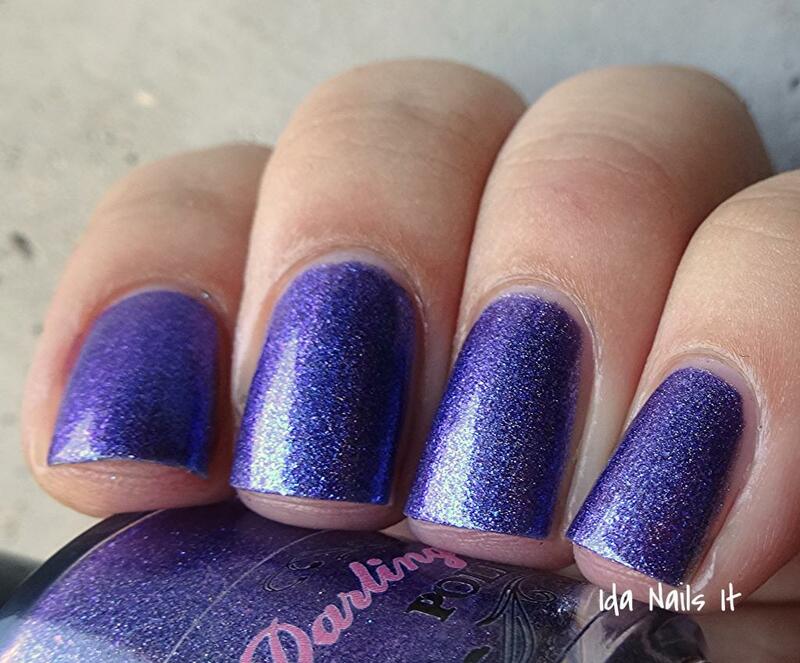 Updates can be found on Darling Diva Polish's Facebook page and Instagram. (4th of July) Friday Spam!